Get all of the Details, Click Here. Large home in the established neighborhood of Woods Haven. Brick fireplace in the cozy family room. 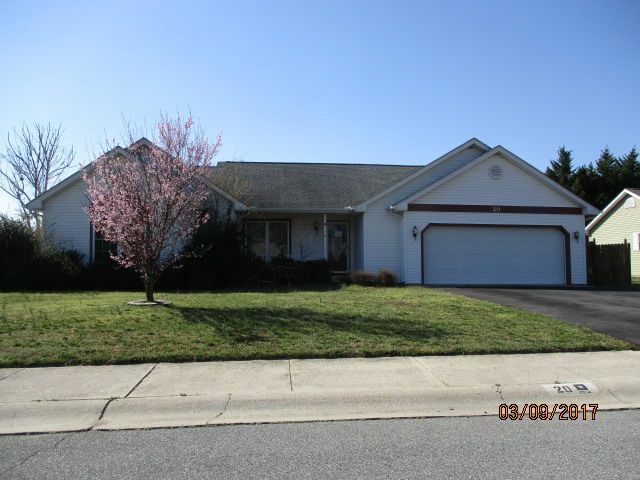 Spacious living room, formal dining room and kitchen with breakfast area with slider to back yard. Three car garage with workshop and a full basement. 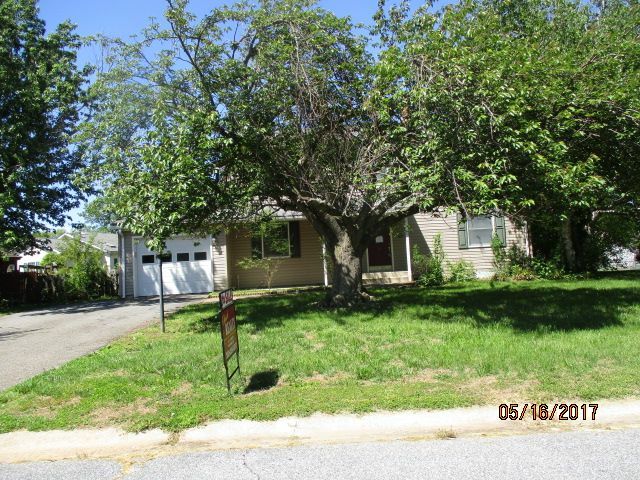 Entire property needs some work including freshening and updating but has so much potential. Property sold in AS IS condition. 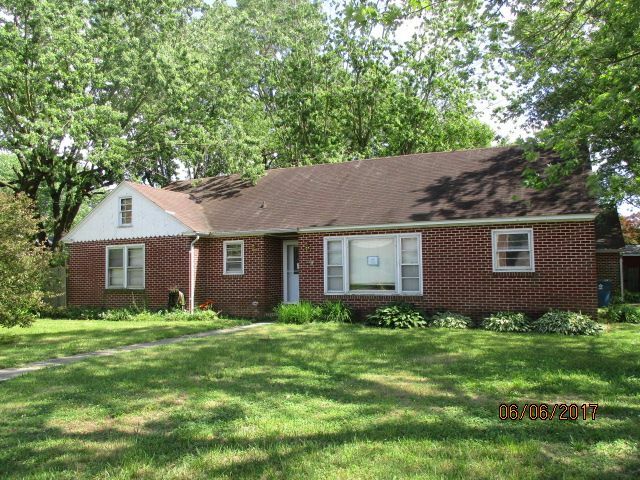 Older brick home located on a beautiful in-town corner lot. Large living room and family room. Eat in kitchen and breezeway. Attached 2 car garage with walk up stairs to storage space above. Property was built prior to 1978 and lead based paint potentially exists. Property sold AS IS. Cash offers only. VA Disclosure: Some visible discoloration was clean/removed. Some may still be present in or out of sight. No formal remediation was done. No before/after professional reports are in hand. Buyer to conduct due diligence. 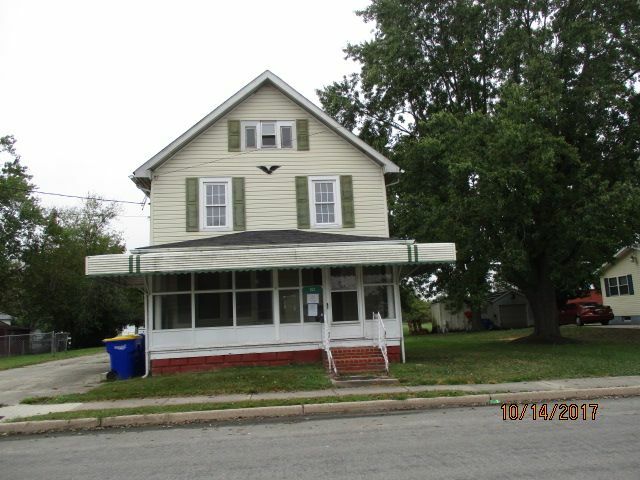 Investors: this multi level home is a diamond in the rough! 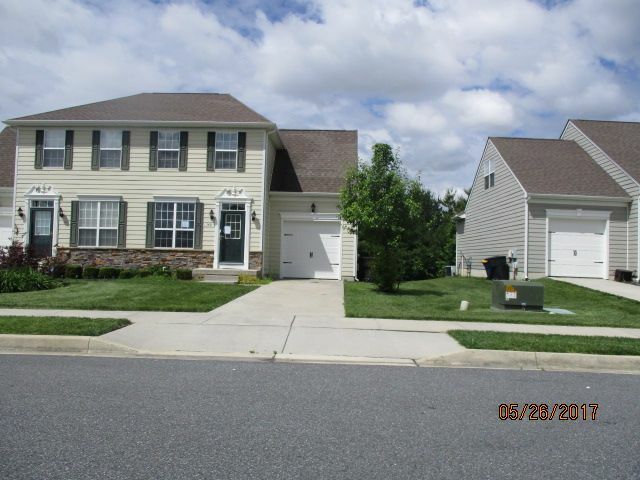 It's located in a cul de sac, and the subdivision has a great community pool! The main level offers the large living room, dining room and kitchen. 3 bedrooms on the upper level, with the main bedroom having it's own entrance in to the hall bathroom. 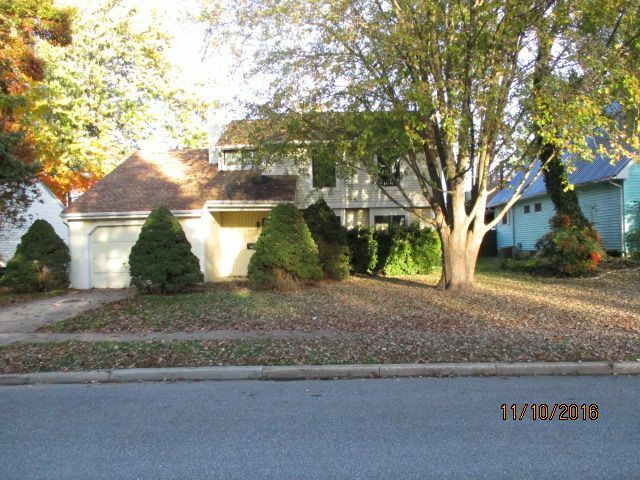 Spacious family room, laundry closet and half bath off of the attached 1 car garage. Partially finished lowest level has 3 rooms, 1 with a closet that could be a 4th bedroom, the other that could be an office, and the HVAC room. Property was built prior to 1978 and lead based paint potentially exists. Property sold in AS IS condition. Spacious rancher with a partially finished basement that offers a 4th bedroom, 3rd bathroom and family room with woodstove! The main floor is bright and cheery with windows and skylights, built-ins and large rooms. The master suite offers a 4 piece bath. 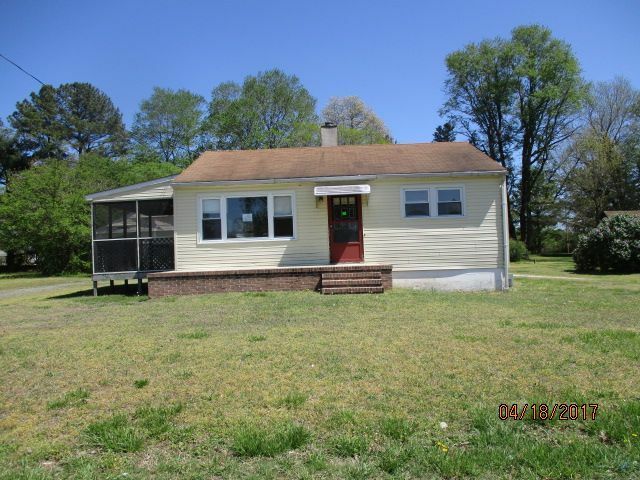 2 additional nice sized bedrooms, hall bath and large utility room with lots of storage included on the main floor. . A few updates and minor repairs and you've got a nice large home with lots of room. Put this on your list today! Property sold in AS IS condition. Seller's Disclosure: The following flood zone information has been obtained for this property-FEMA Flood Zone designation X. 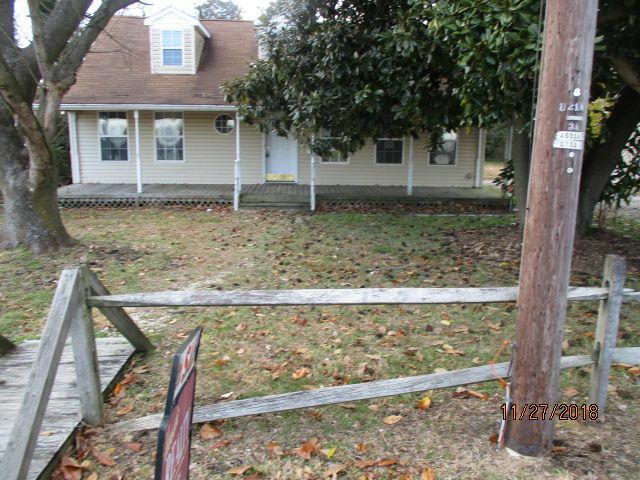 Spacious double wide located in horse country! 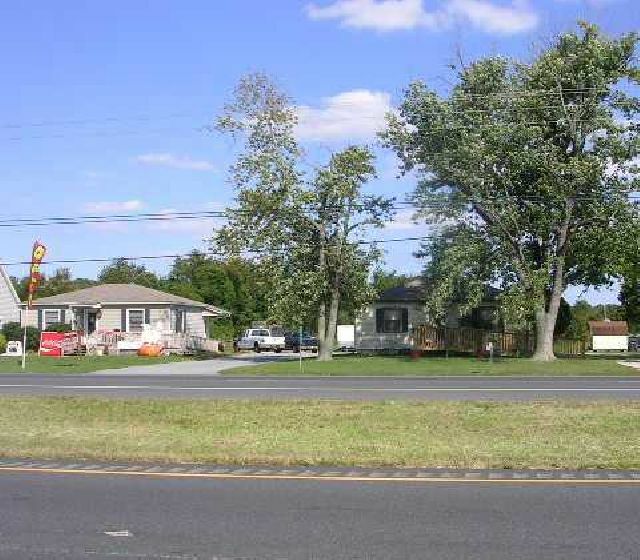 5 acre lot offers home set back from road with an expansive front yard. Stable and fencing at back acreage. 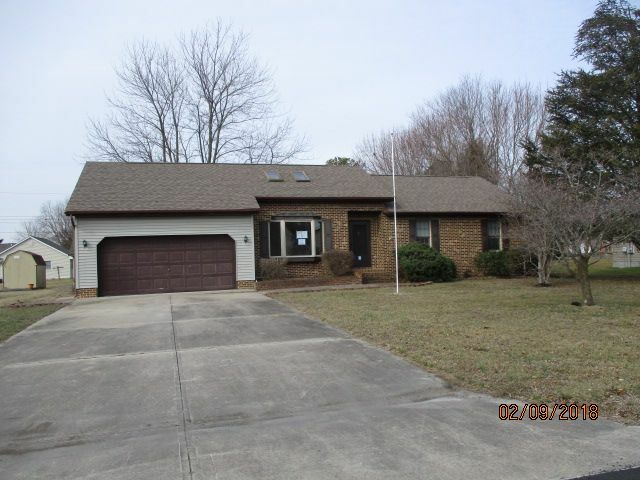 Great square footage includes family room with fireplace, master suite with sitting room, 2 additional bedrooms with a jack and jill bath, and a large kitchen. Full 3rd bathroom. Rear screen porch. Seller disclosure: The following flood zone information has been obtained for this property: Flood Zone Designation X. Property sold in AS IS condition. ALL inspections are at buyer expense. 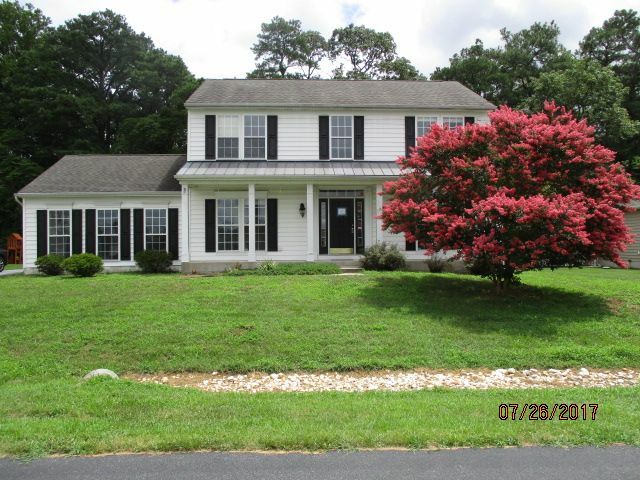 Attractive and spacious contemporary home in the newer neighborhood of Weatherstone Crossing. Enter in to a large foyer to your open living room with fireplace, next to the kitchen with breakfast nook. The upstairs offers a master suite with walk in closet, and a 4 piece master bath. The other 3 bedrooms are comfortable with bedroom 2 also offering a walk in closet. Full unfinished basement. This property may qualify for Seller Financing (Vendee). Sellers disclosures: Plumbing issues are present. The following flood zone information has been obtained for this property: Flood Zone Designation X. 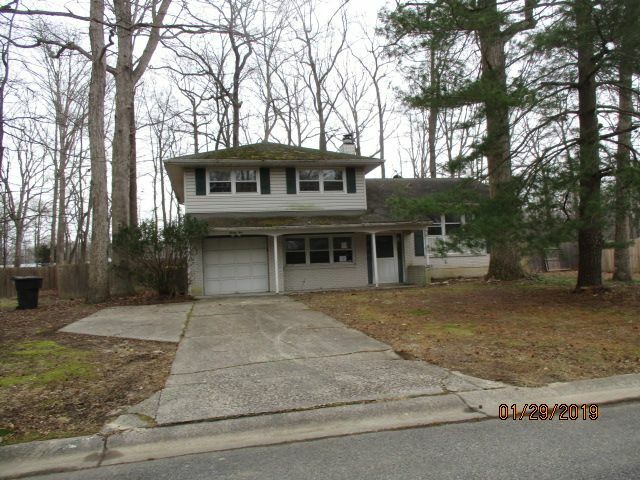 Class C doublewide on permanent foundation on very nice partially wooded lot. Property being sold AS IS. Large shed in rear. Cash or equity line of credit offers only. Value is in land and connections. Bring all offers! 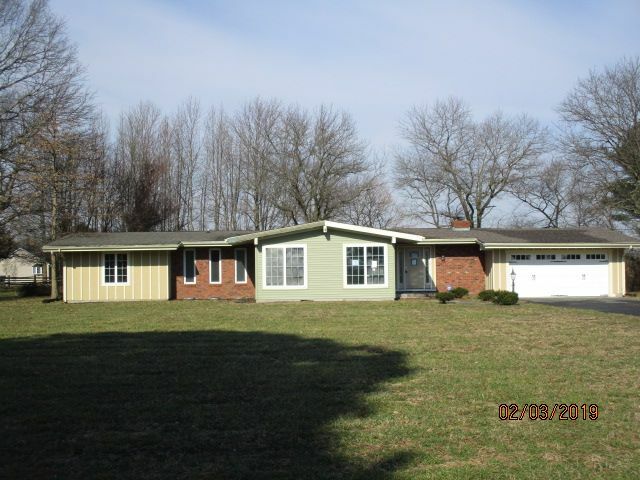 Rancher with split floor plan and 2 car attached garage is priced for this listing. Any other plan and/or specifications will be priced at the time of request. 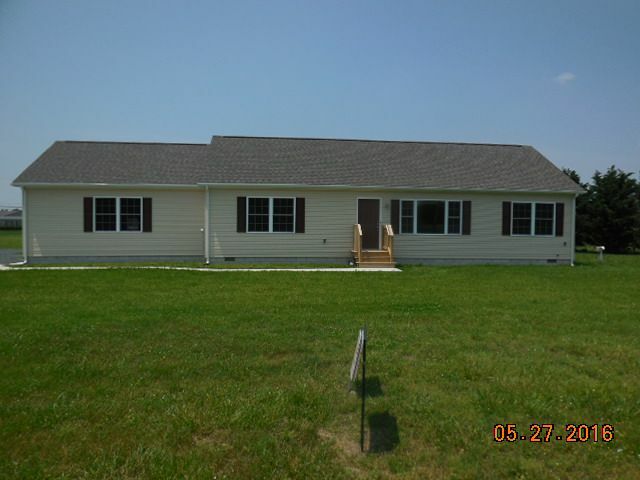 Brand new construction on a large country lot with no HOA's! Lots of standard details inside: wired for ceiling fans in several rooms, separate linen closet, double hung low E energy star windows, interior lever door knobs, brushed stainless fixtures and lighting throughout, arched panel cabinetry, and an oversized 24' x 24' attached 2 car garage. Architectural shingles. One of the owners is a licensed DE Real Estate agent, and is related to the listing agent. This multi-level home has curb appeal galore! 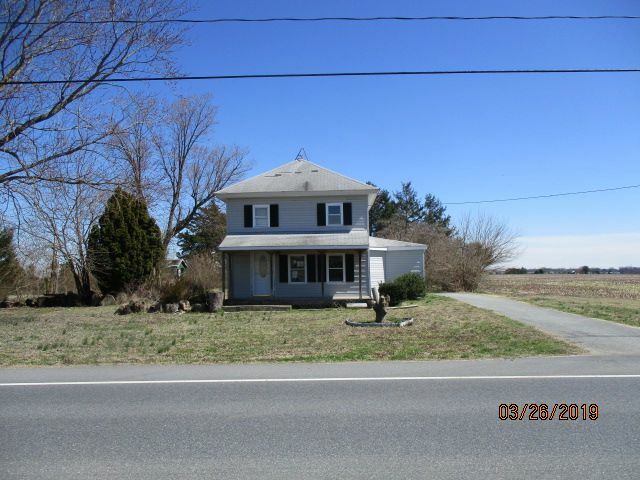 Situated on a corner lot in a very desirable location. Spacious living room, large country kitchen with a dining area has french doors to the bright and cheery sunroom overlooking the in-ground pool and shaded back yard. Master bedroom has an attached half bath. Property was built before 1978 and lead based paint potentially exists. Due to some conditions, no utilities will be on for inspections. Property sold in AS IS condition. Cute and charming describe this home. 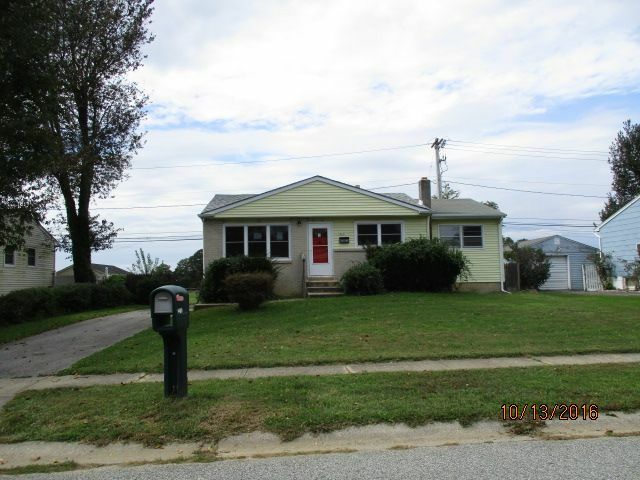 Very nicely maintained split floor rancher offers great square footage, neutral colors throughout, a formal dining room, a family room with a slider to the rear deck, and a fenced rear yard. Large master suite has 2 closets and a full bathroom with modern fixtures. Living room has cathedral ceiling, fireplace and built-ins. Property sold in as is condition. Seller disclosure: septic. Description: Wastewater field inspection report (7 pages). 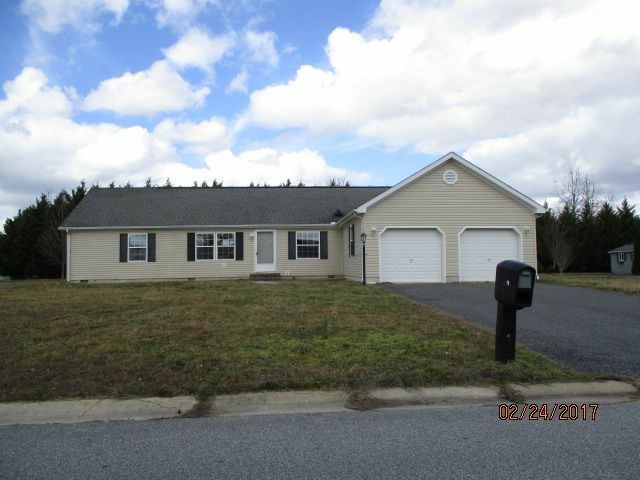 Located in the very nice doublewide community of Wynn Wood. Home features a split floor plan. Vaulted ceiling and stone fireplace in living room. Master suite has a walk in closet and 4 piece bath. Attached 1 car garage. Property sold in AS IS condition. All inspections are at buyers expense. Any loan required repairs are done with sellers approval and at buyers expense. 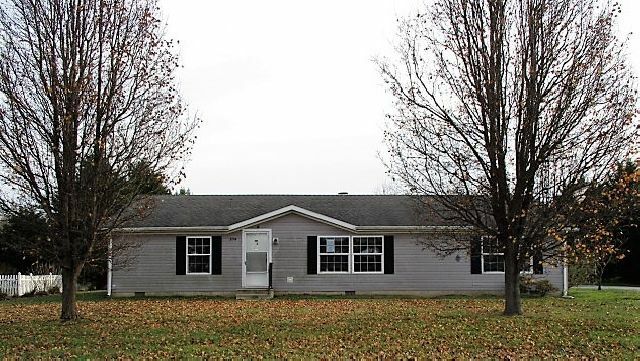 This home offers a grand exterior, with some work needed inside. Potentially a real gem! Soaring 2 story ceiling in living room with fireplace, breakfast nook next to kitchen, and it also has a formal dining room. Master suite has a double door entry, a walk in closet, a separate sitting area with privacy, and a full bathroom. Partially finished basement. Located on a large corner lot. Property sold in AS IS condition. No water for inspections. Disclosure: discoloration was treated in the basement. 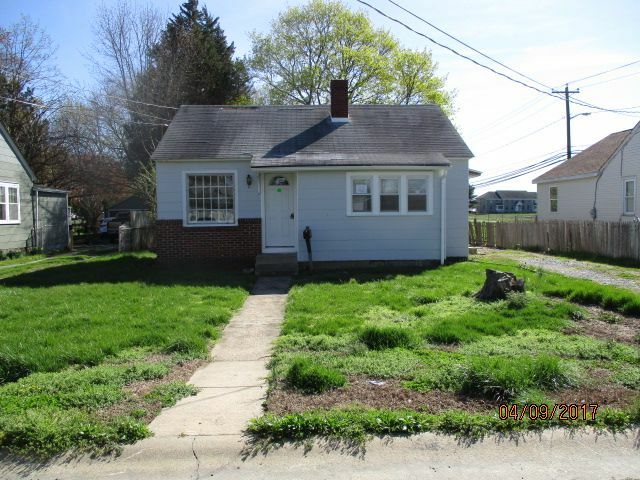 Property with attractive curb appeal in need of tlc. 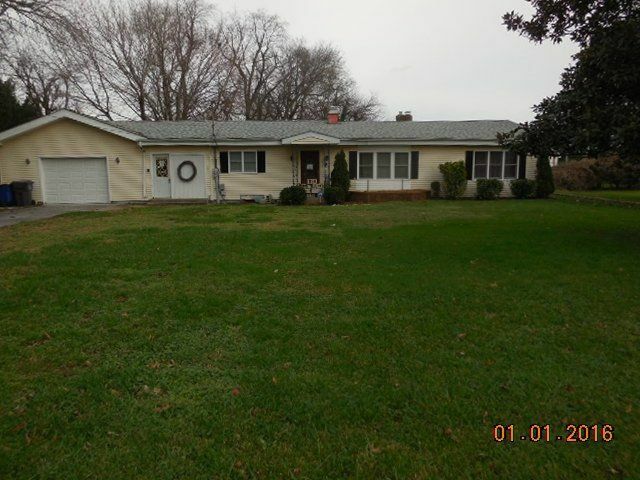 Home features a lot of square footage and is located in an established and quiet neighborhood. Formal living room and dining room, family room, and upstairs loft. Property sold in AS IS condition. No water will be turned on for inspections. 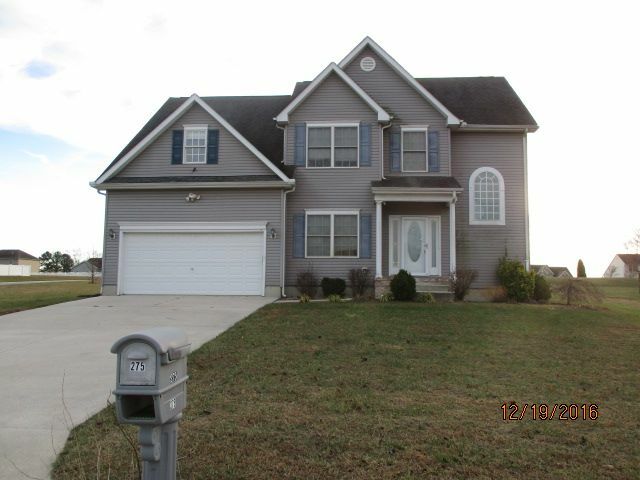 Stunning and spacious home in the wonderful neighborhood of Heritage Trace! 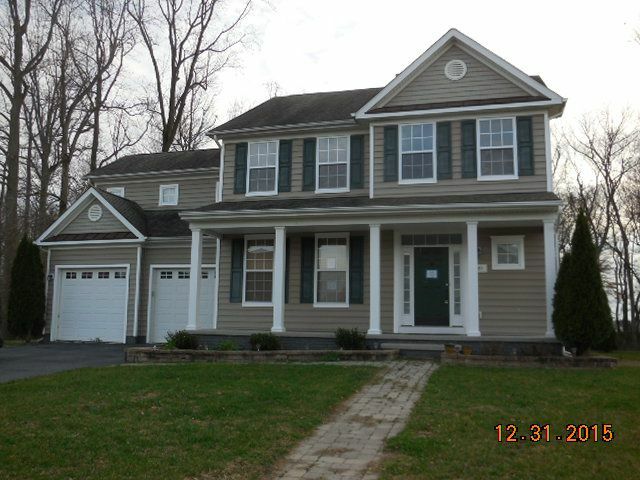 Enter the home to a 2 story foyer with lovely staircase leading up to the second floor. The formal living room lies beyond the double doors to the left as you enter the home. Soaring ceilings in the family room with a gas fireplace, open to the kitchen and breakfast room, with stairs by the kitchen to the second floor for added convenience. The kitchen features a beautiful butcher block top island, and a pantry. An extra room on the first floor would be perfect for an office or playroom. The second floor leads you along a catwalk overlooking the family room and invites you through the double door entry into your private oasis. Master bathroom offers 2 separate vanities, soaking tub, water closet, and a separate 4' shower. 3 additional bedrooms complete your second floor tour. The basement is super clean. VA Disclosure: Property has been identified as in FEMA Flood Zone (X). Property sold in AS IS condition. Rancher located in a small subdivision off of a country road. Large corner lot. A little tlc will have this home shining again! Master bedroom and master bathroom, and 2 other nice sized bedrooms. An addition was added to the other side of the 2 car garage that could serve as a nice large office/workshop. Seller Disclosure: Failed Electric Inspection. Property sold in AS IS condition. 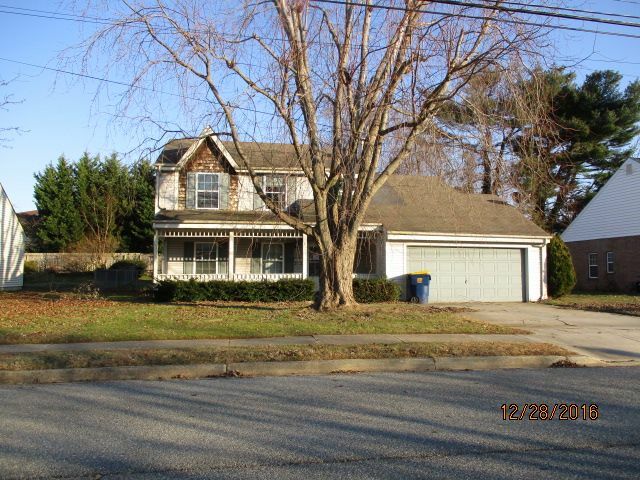 Nice home in the convenient and highly sought after neighborhood of Newells Creek. 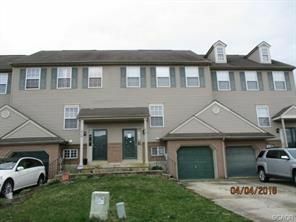 Located on a cul de sac, this 2 story home with full partially finished basement is waiting for you! 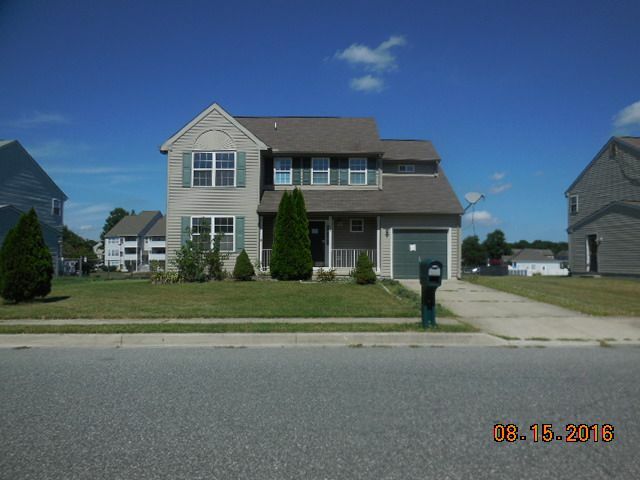 Great open floor plan as you enter and 4 spacious bedrooms upstairs. The kitchen has a center island and walk in pantry. The master suite offers a cathedral ceiling and a walk in closet, and the master bath has a soaking tub and separate shower. The basement has rough in plumbing for another full bathroom, and walk out stairs. Property sold in AS IS condition. 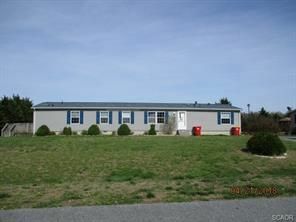 Nice and spacious double wide in the community of Wynn Wood. Large family room, and a sunny and cheery kitchen providing loads of storage space including the center island. 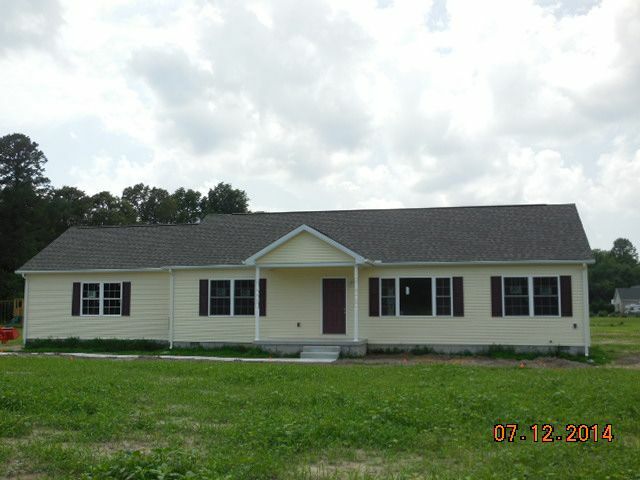 The split floor plan has a master suite offering double walk thru closet and a 4 piece bath. Attached 2 car garage. Property sold in AS IS condition. Seller Disclosure: Property has been identified as in FEMA Flood Zone(X). Buyer to pay a one time HOA fee of $75 at settlement. Price reduced! 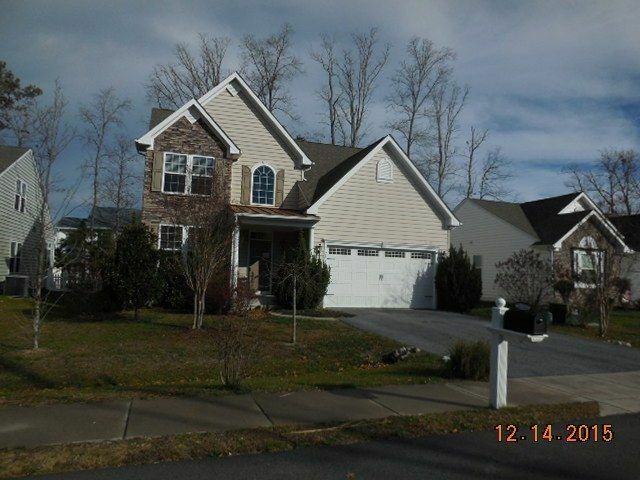 Lovely 2 story home located in the desirable community of Pinehurst Village. The main floor offers an open kitchen with large pantry, breakfast nook with a slider to the rear deck, the living room with a gas fireplace and soaring 2 story ceiling, a formal dining room, and the half bath. Master suite has it's own private bath and walk in closet. 2 other nice sized bedrooms, laundry closet and hall bath complete the second floor. Property sold in AS IS condition. No utilities will be on for inspections as the electric inspection failed. Cute bungalow that was previously updated. 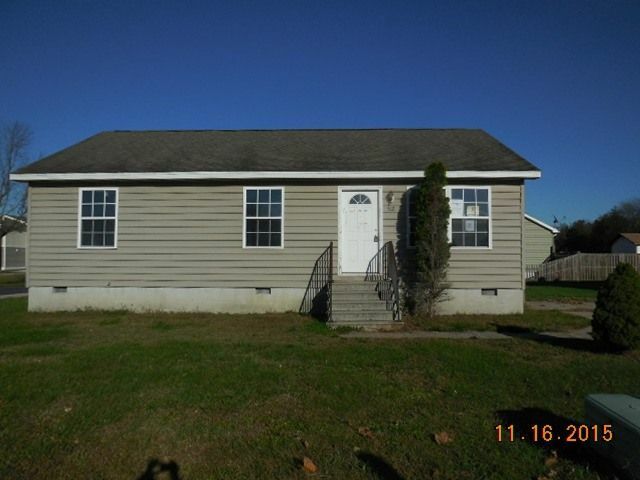 3 bedrooms and one full bath on main floor. The basement offers additional rooms and a full bathroom. 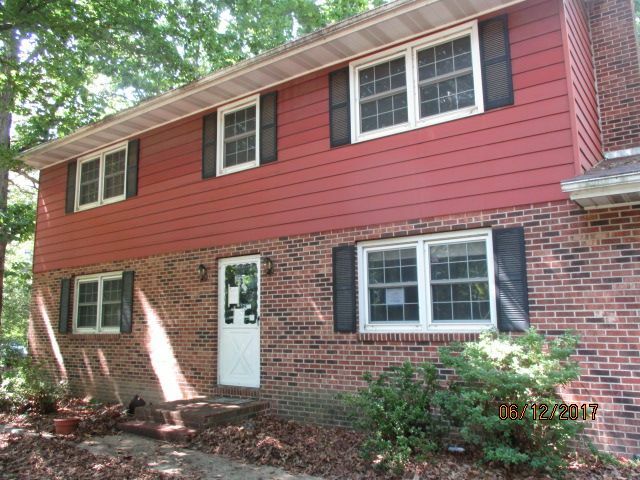 Rear screen porch is in need of work, but the home is adorable inside! Lovely hardwood flooring on main floor. Property was built prior to 1978 and lead based paint potentially exists. Property sold in AS IS condition. 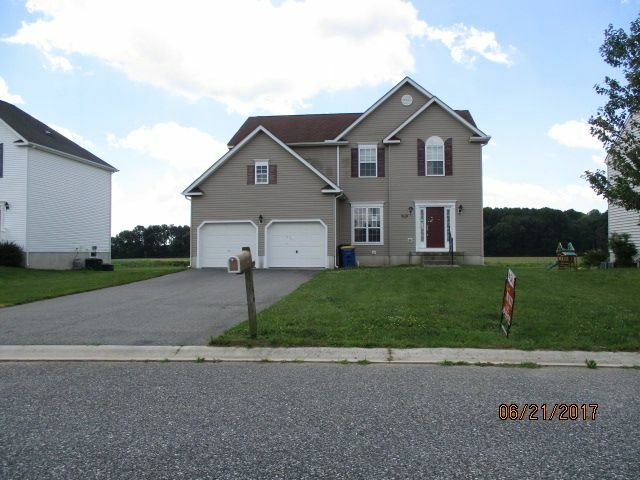 Spacious home at an affordable price! 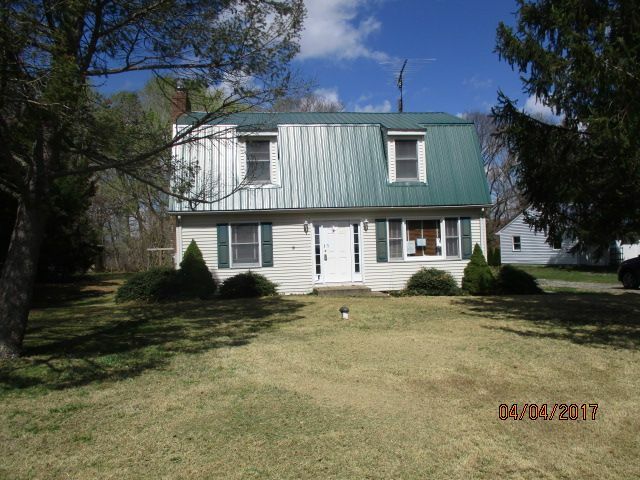 With a little tlc this home can shine again! Formal living and dining rooms, large family room with fireplace, open kitchen and breakfast nook with slider. The master suite has a walk in closet and 4 piece bath. 3 additional bedrooms, and hall bathroom complete the second floor. Property sold in AS IS condition. 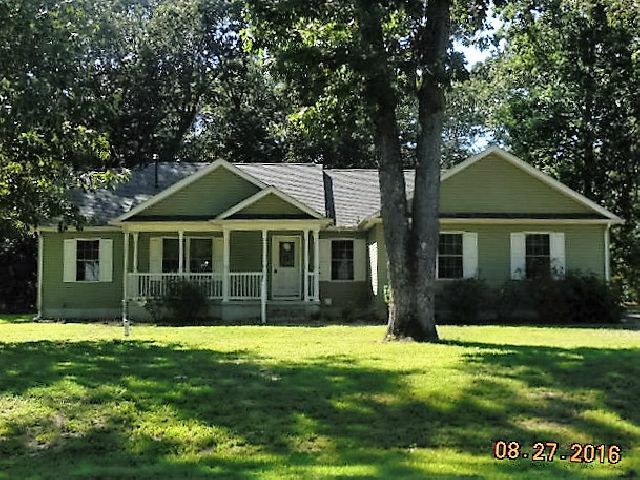 Sweet rancher with lots of curb appeal! 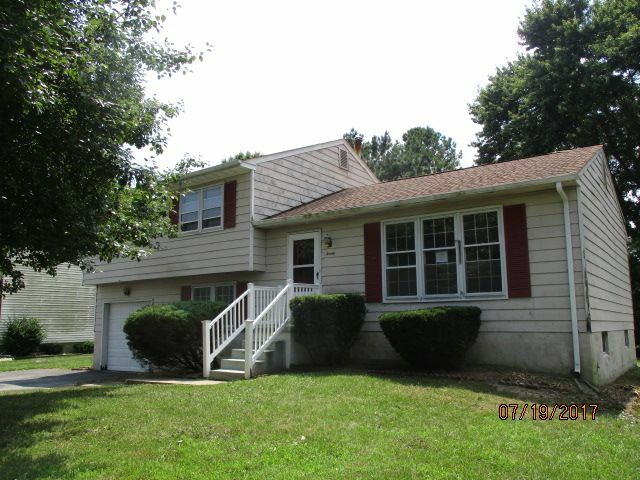 Interior has been beautifully maintained and is painted in soft attractive colors throughout! Most rooms have custom plantation shutters at the windows for privacy and beauty. Large living room features a vaulted ceiling and is open to the kitchen and dining area. Slider to rear deck and fenced in back yard. Property sold in AS IS condition. 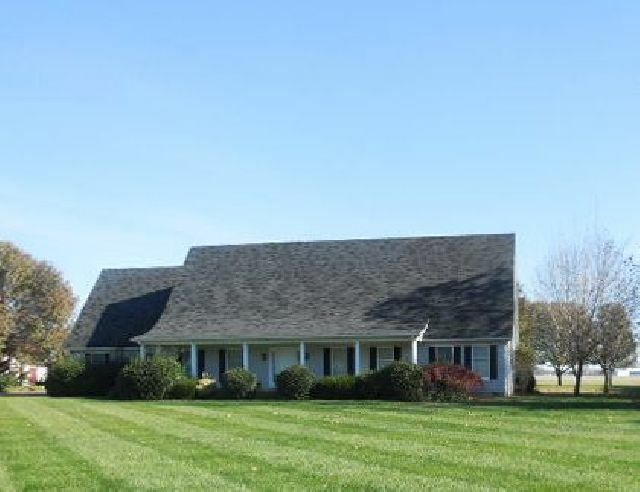 Classically lovely expansive rancher on a corner lot in the very desirable Wind Song Farms! Formal entry invites you in to the formal living room and the kitchen and the informal dining area beyond. Large family room with fireplace, a formal dining room, kitchen with island, and the informal dining area has a slider to your rear deck where peaceful mornings and evenings can be enjoyed! One side has the master suite with walk in closet, and 4 piece master bath, the two other nicely sized bedrooms and the hall bath. The other side of the home offers your half bath, closets for storage, utility room and the garage. Massive unfinished basement. Rear fenced yard. Property sold in AS IS condition. 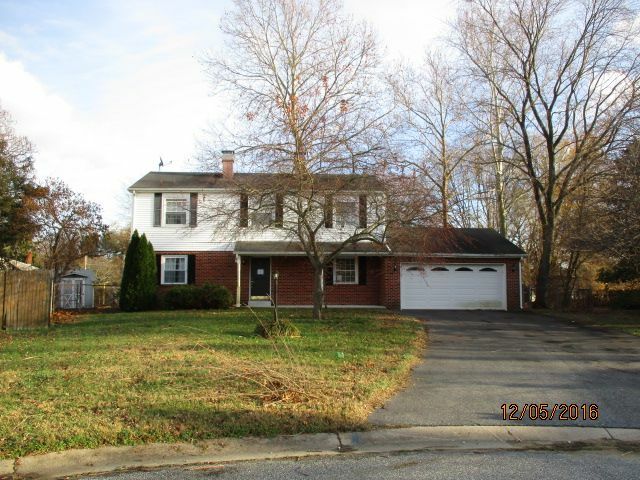 Spacious home in the established neighborhood of Nanticoke Circle Annex with a full unfinished basement. 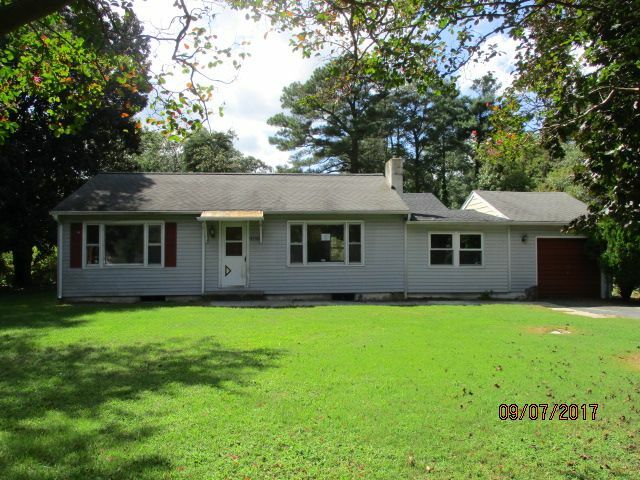 This home is a diamond in the rough and ready for updates! Informal dining area, formal dining room, galley kitchen and rear screen porch. There is an attached one car garage and an oversized detached 2 car garage for the home hobbyist and their toys! Property was built prior to 1978 and lead based paint potentially exists. Property sold in AS IS condition. Cash offers only. 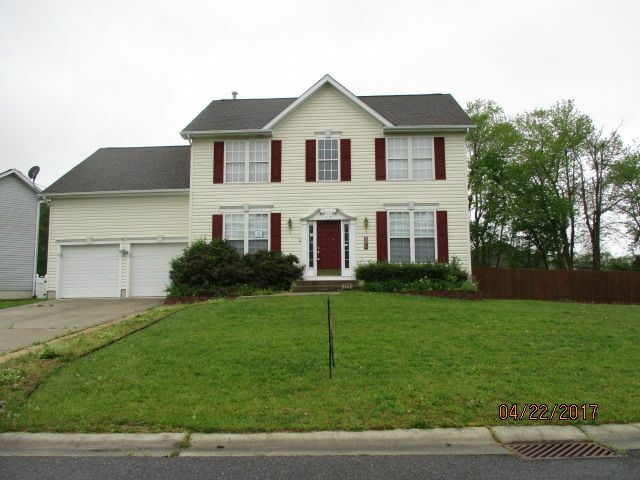 Lovely home in the desirable neighborhood of Windstone in Milton! The HOA includes your lawn maintenance, a newly built club house with a fitness center and a salt water pool so your spare time is all yours to enjoy! Imagine sipping coffee or cocktails on your back screen porch with ceiling fan overlooking the scenic wide creek and enjoying the wildlife! This split floor plan home offers a great room that includes a stunning kitchen with an expansive breakfast bar, a separate kitchen island, granite countertops, and a pantry, all providing loads of storage. The master suite includes a walk in closet , a separate standard closet, a soaking tub and a separate shower. Two additional nice sized bedrooms and a full bathroom complete your tour of the main floor. To add to this outstanding value, the upstairs bonus room has been finished and features a full bathroom, the 4th bedroom and a large living area. Property sold in AS IS condition. 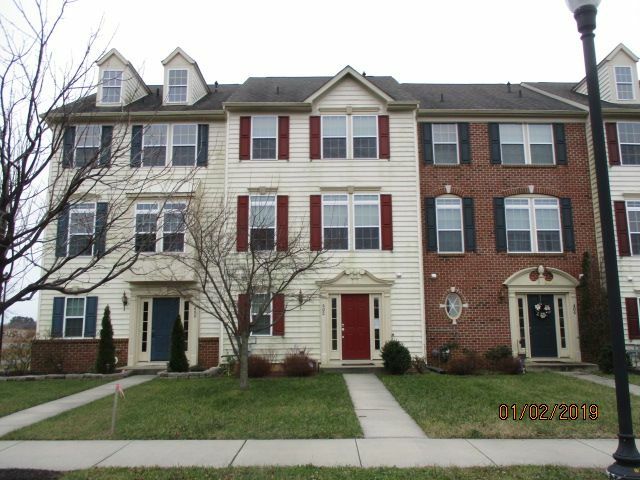 $60.00 fee payable by buyer to HOA at closing. 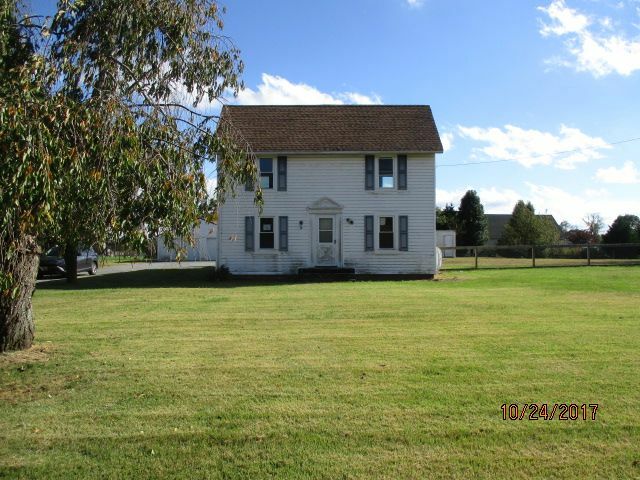 Cute 2 story farm house on an in-town lot. Bring your tools and know-how and make this property sing again! Enclosed front porch, and a first floor bathroom. There is a third room on the second floor that can easily be the 3rd bedroom with the construction of a closet. A second bath was being installed in the main bedroom, but is incomplete. Cash offers only. Property was built prior to 1978 and lead based paint potentially exists. Property sold in AS IS condition. 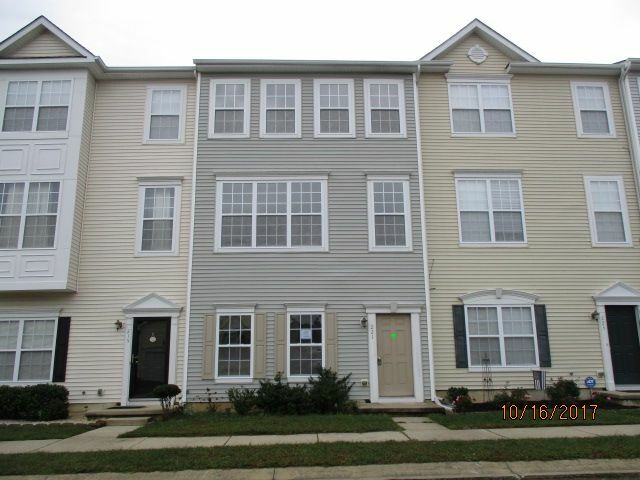 3 story townhouse in the newer development of Tidbury Crossing! The first floor offers a family room and full bathroom. The second floor is the open living room/dining room/kitchen with a half bath. And the third floor has 2 bedrooms and 2 full baths. The hall bath is accessible from bedroom 2. A minute's stroll gets you to shopping, dining and restaurants. Property sold in AS IS condition. Lender required repairs are added to the sales price of the home, and only with seller approval. Price reduced! Outstanding tudor on an in-town lot loaded with period charm! Columns, built-ins, beautiful hardwoods, stained glass windows, a butlers pantry, and a brick fireplace with a horse motif tin plaque attached, are some of the beautiful showcase details that remain in this home. 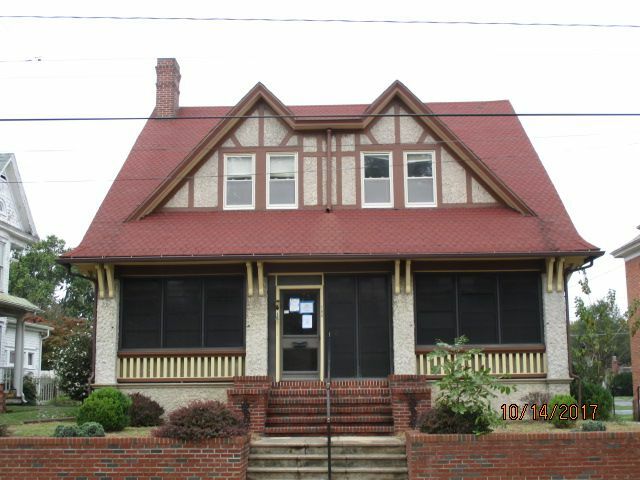 Some tlc is needed but this one should not be passed up if historic homes are what you desire! The first floor has one of the full bathrooms, the second is upstairs with all of the bedrooms. The main bedroom also has a sunroom off the back. The walk up attic is walled with tongue in groove stained wood planks. Detached 2 car garage and 2 vehicle carport is in the rear off of the alley. Property was built before 1978 and lead based paint potentially exists. Property sold in AS IS condition. No heat, so property cannot be dewinterized for inspections. 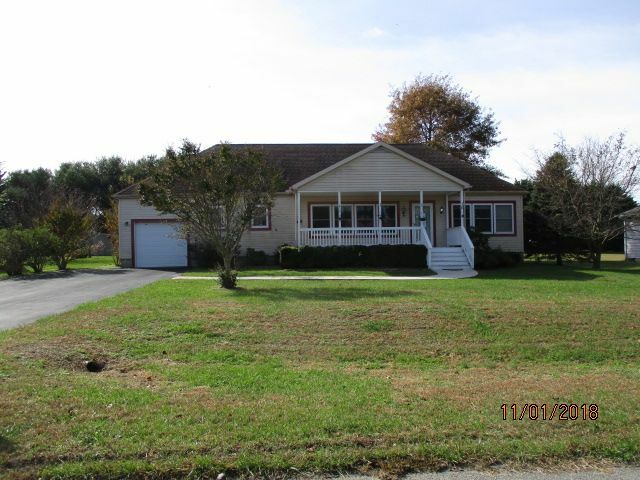 Seller disclosure: This property has been identified as being in FEMA Flood Zone X. 'Knob and tube wiring throughout house'. 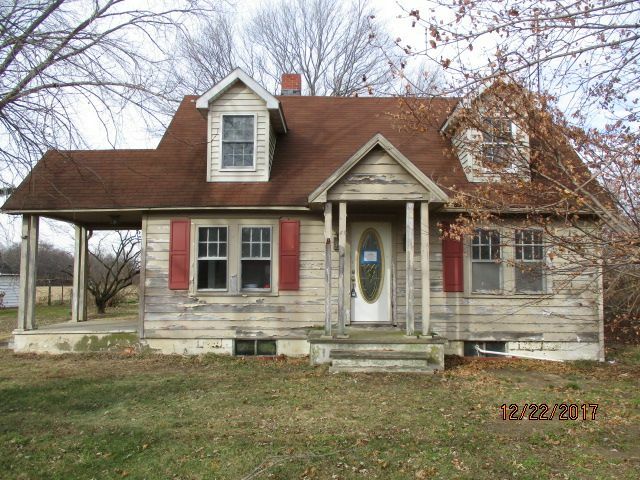 Cute little rancher in need of minor cosmetic tlc, located off the beaten path. The living room opens to the dining area and the kitchen with laundry closet. The master bedroom includes a master bath. 2 other nice sized bedrooms and hall bath. Deck in rear. Property sold in AS IS condition. Investor alert! Large farmhouse in a lovely country location mere steps from beautiful Blairs Pond. Massive family room with brick fireplace and slider to rear. Bedroom on first floor next to Jack & Jill half bath. 3 bedrooms upstairs. Detached 2 car garage. No water, no heat so cash offers only! Property sold in AS IS condition. Property was built prior to 1978 and lead based paint potentially exists. 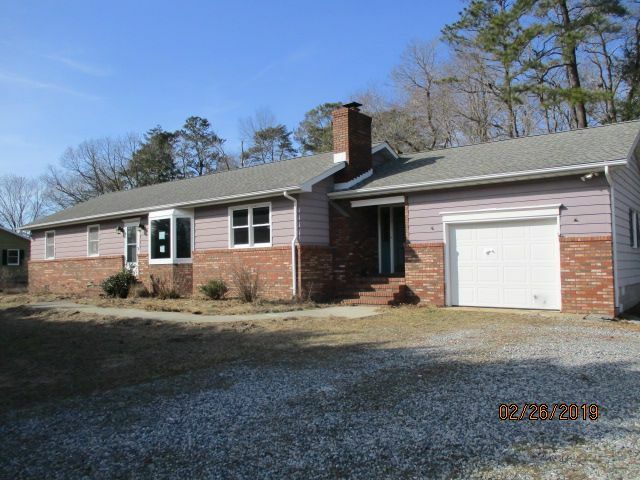 Seller disclosure: This Property has been identified as being in FEMA Flood Zone X. Attached HOLD HARMLESS form must be signed by ALL parties and notarized before entry. 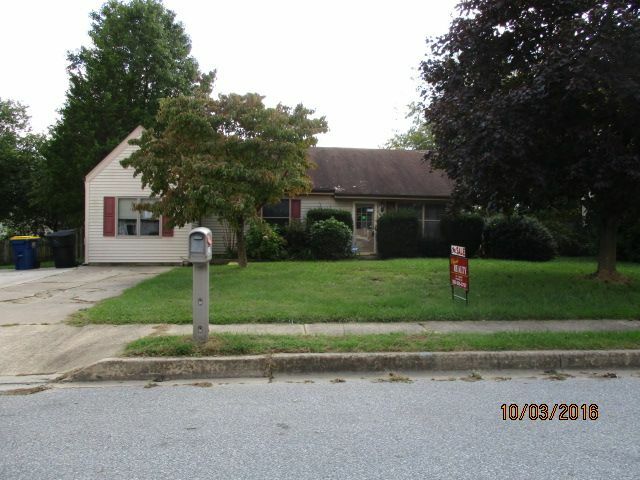 Home in need of major work or tear down and build your dream home. No utilities. Value is in land only. 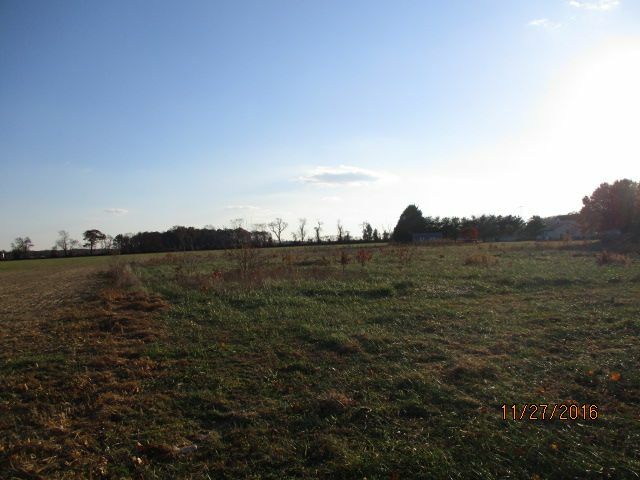 Nice lot outside of town with 3+ acres. Red barn in rear. Sellers Disclosure: Marketing hold harmless poor general condition-discoloration-no reports. Cash offers only. Attached HOLD HARMLESS form MUST be signed by ALL parties and notarized before entry. Double wide in need of major work or tear down. No utilities. Value is in land only. Nice sized lot in a subdivision with a mixture of double wides and modulars, ranchers and capes, located off Andrews Lake Rd. Sellers Disclosure: The following flood zone information has been obtained for the property: Flood Zone designation X. Property sold in AS IS condition. Cash offers only. Investor Alert! 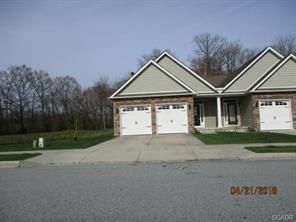 Rancher with a full unfinished basement and rear sunroom in a lovely subdivision close to town. 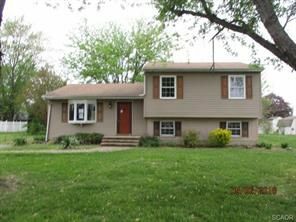 Plus, a brick front, a fireplace in the living room, 3 bedrooms and 2 full baths means this home has incredible potential! Cash offers only. Property sold in AS IS condition. Property was built prior to 1978 and lead based paint potentially exists. 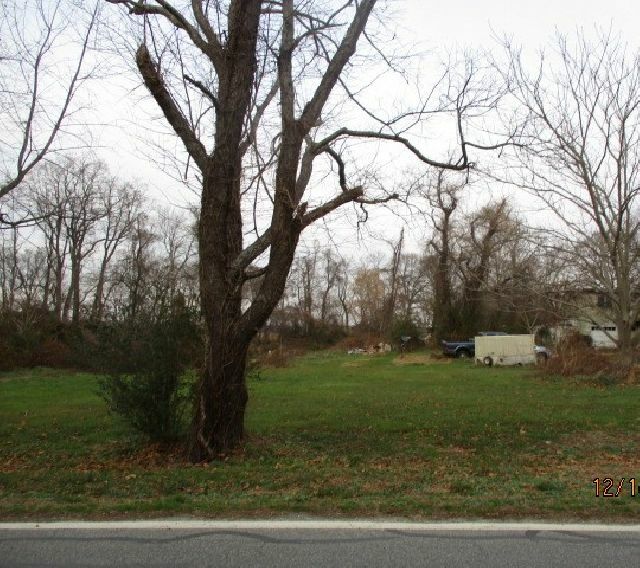 This property has been identified as being in FEMA Flood Zone X. 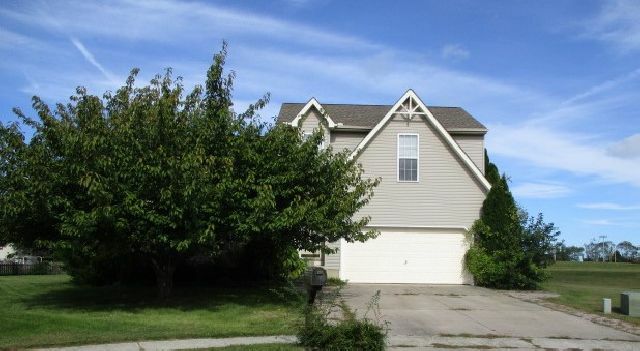 Very attractive duplex single family home in the sought after neighborhood of Lexington Glen. A little cosmetic tlc and this home will be darling! It includes an open great room with vaulted ceiling, dining area and kitchen. The master suite offers vaulted ceilings, a lovely fire place and a walk-in closet. The second bedroom is spacious and close to the main hall bath. Property sold in AS IS condition. Seller Disclosure: The following flood zone information has been obtained for this property-Flood Zone Designation X. At this time, there is no water for inspections. 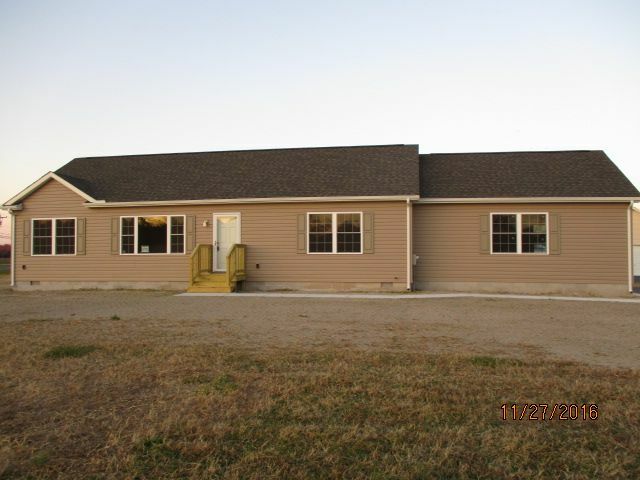 Spacious double wide in the clean subdivision of Pine Ridge. Split floor plan with the master suite on one end, offering access to the side deck, and the other 4 bedrooms on the other side. Family room. Property sold in AS IS condition: Plumbing did not hold pressure so no water for inspections, and carpet missing in some of the bedrooms. ALL inspections are at buyers expense. Sellers Disclosure: The following Flood Zone Information has been obtained for this property: FEMA Special Flood Area: No; FEMA Flood Zone: X.
Nicely maintained 2 story home in Chimney Hill. Bright and cheery open front entry, family room, a kitchen with pantry and a slider to the rear patio. Master suite includes a walk in closet and 4 piece bath. Property sold in AS IS condition. Sellers Disclosure: The following flood zone information has been obtained for this property: FEMA Special Flood Zone Area: NO; FEMA Flood Zone: X. Investor alert! 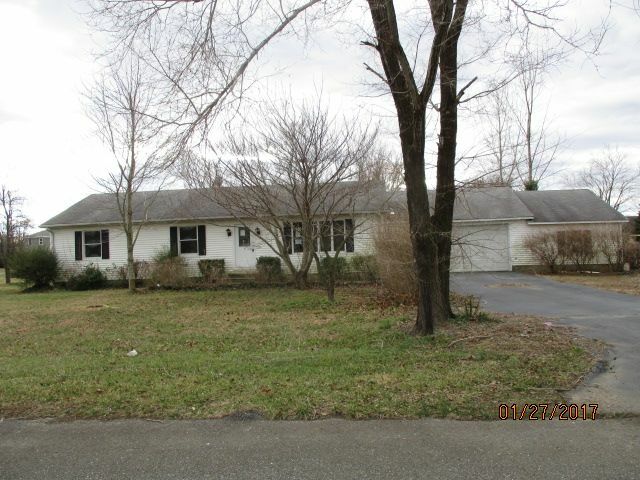 Split level home located just off Rt. 113 in Georgetown. 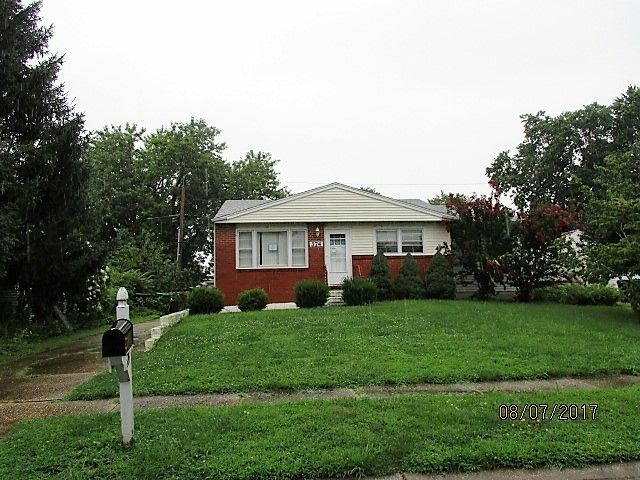 3 bedrooms, 1 full bath, a family room in the lower level, along with plenty of room to build a second half or full bath in the lower level utility room. Property sold in AS IS condition. No water. Cash offers only. Property was built prior to 1978 and lead based paint potentially exists. Town home in need of tlc. Lower level includes the family room with slider to rear and the laundry room. 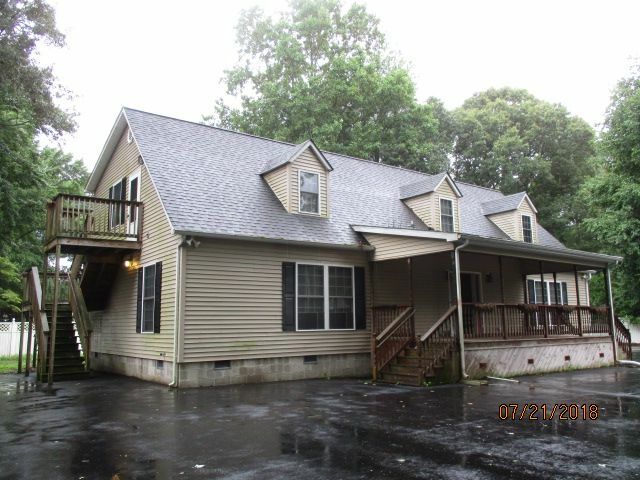 Main level features a great room with kitchen, breakfast nook, and open living room/dining area with a slider to the rear deck overlooking the pond, plus a half bath. And 3 nice sized bedrooms are on the upper level. Property sold in AS IS condition. There are currently no utilities on per: City of Dover requirements. Sellers Disclosures: 1. The following flood zone information has been obtained for this property: Flood Zone Designation X. 2. Some visible discoloration was cleaned/removed. Some likely still present in or out of sight. No formal remediation was done or reports to disclose. Buyers to conduct due diligence. Investor alert! Uniquely designed home with lots of potential. Sunken living room with a fireplace is open to the kitchen and dining area. Large loft with a closet overlooks the living room. Carport. No utilities are on. Property sold in AS IS condition. Cash offers only. Key at List office. Sellers Disclosures: 1. Due to the condition, the property may have health/safety risk(s). Prior to entry/access all parties must sign a Hold Harmless Agreement and the property may only be shown by appointment. 2. This property has been identified as being in FEMA Flood Zone X. 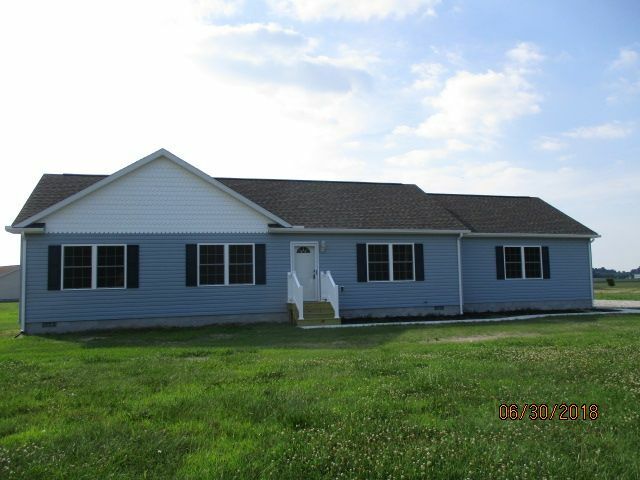 Brand new construction and ready for you! 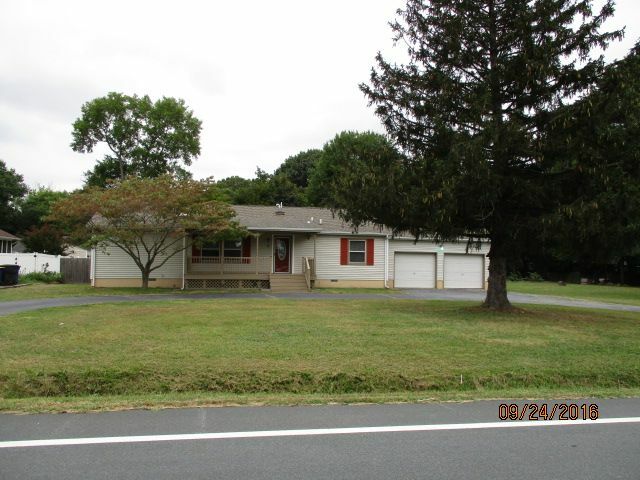 This home is situated on a country corner lot with no HOA's! Large living room is open to the dining room and kitchen. Beautiful cabinetry and a large kitchen island with an overhang for seating are two of the perks of this nicely designed kitchen. The master bedroom offers 2 closets and a private bathroom. Next door are 2 nice sized additional bedrooms. An oversized 2 car garage allows room for the hobbyist/tinkerer. Loads of standard details await: wired for ceiling fans in several rooms, double hung low E Energy Star windows, interior lever door knobs, brushed stainless fixtures and lighting throughout, arched panel cabinetry, and architectural shingles. AND!! AND the seller is offering $3000.00 seller help for you to use towards your closing costs, or for appliances, or for decorating the home to your desires! One of the owners is a licensed DE Realtor®, one of the owners is a licensed DE Broker, and both are related to the Listing Agent. 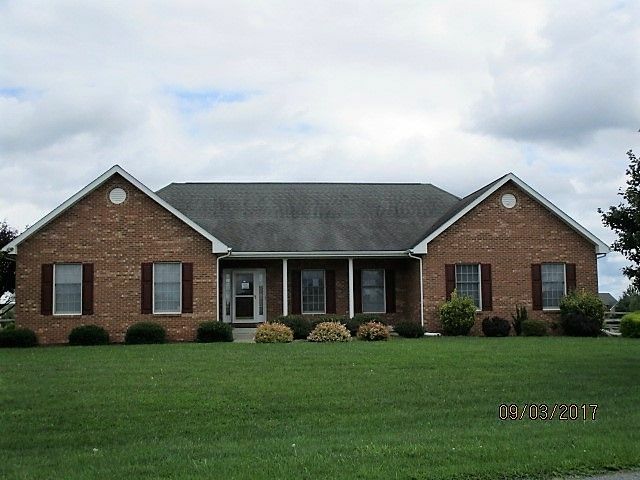 Sprawling brick rancher with loads of potential! Very spacious living room open to dining area, all 4 bedrooms are large and the main bedroom has space for a master bath. There is a 3 season room in the rear and a detached 2 car garage. No utilities are turned on or will be turned on. Property sold in AS IS condition, cash offers only. Seller disclosure: The following flood zone information has been obtained for the property Flood Zone Designation X. 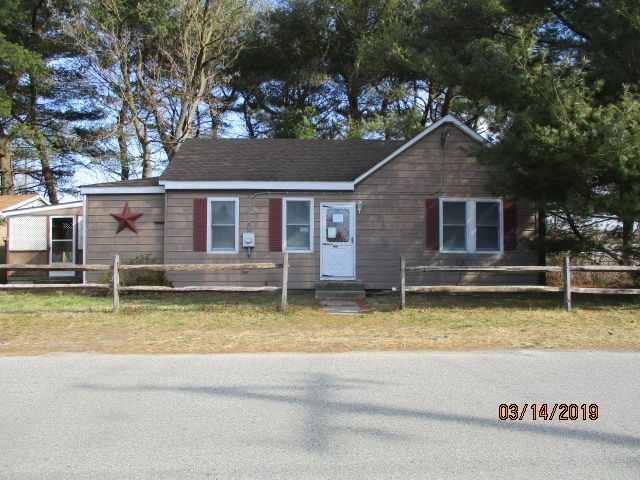 Stunning waterfront views at an affordable price! Unique custom built home located on Marshall Pond with main living spaces on the second floor so the views can be appreciated all day long! The center great room of the home has an open kitchen with a large island, a fireplace, and windows across the rear. Master suite includes a walk in closet and private master bath. Property sold in AS IS condition. 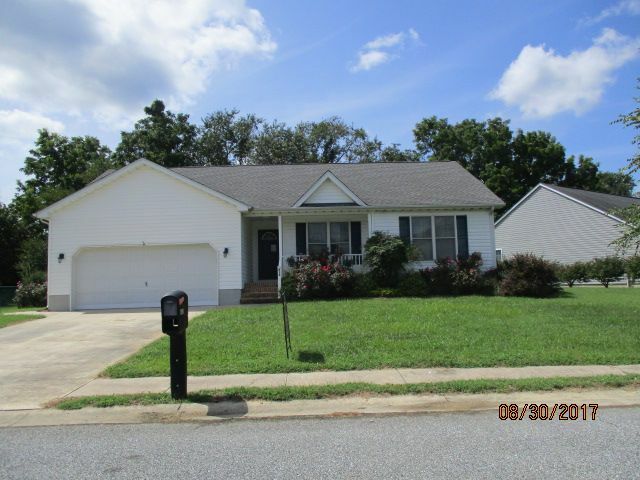 Nicely maintained home in the quiet and lovely Atlanta Estates neighborhood. Slate floor entry, hardwood floors in many of the rooms throughout. 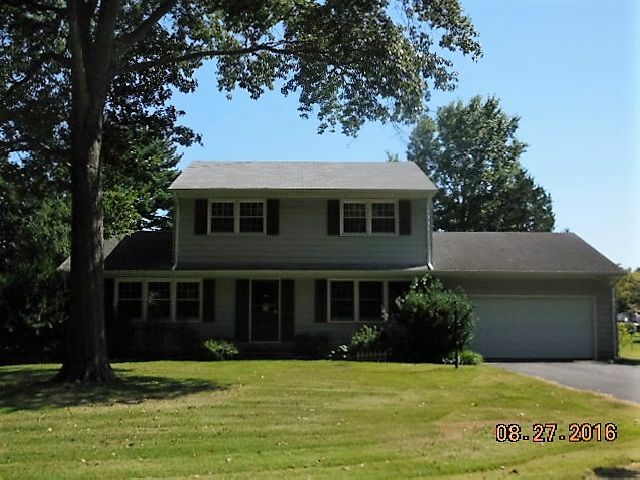 Formal living and dining rooms, family room with a half bath, retro eat in kitchen with an island, and a bright and cheery sunroom off of the kitchen and family room looking out over the expansive back yard. First floor laundry. 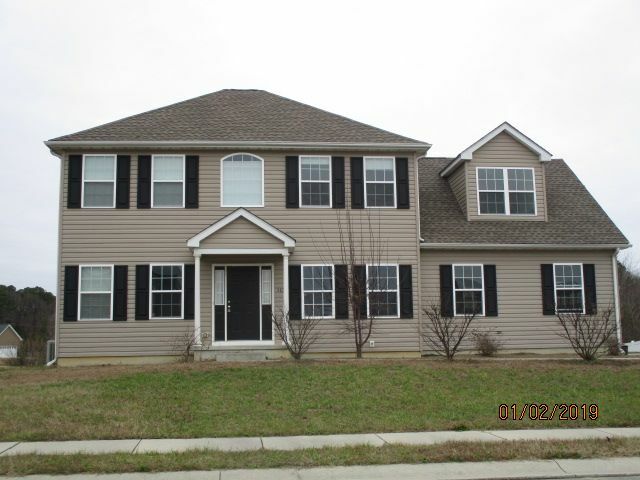 Second floor includes a master suite with 3/4 bath, 3 additional bedrooms and hall bath. Attached 2 car garage. Property built before 1978 so lead based paint potentially exists. Property sold in as is condition. 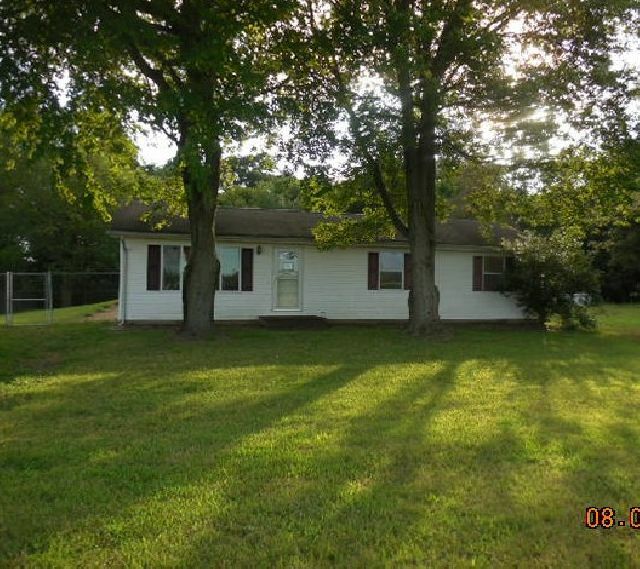 Adorable rancher with loads of potential and loads of curb appeal! The living and dining rooms feature soaring vaulted ceilings and a slider to the back yard where you can relax by the inground pool. Full kitchen has a breakfast area and access to the rear as well. The main bedroom has it's own private entrance to the hall bath, and 2 additional bedrooms nearby. Property sold in AS IS condition. Rancher with full basement in Rodney Village. 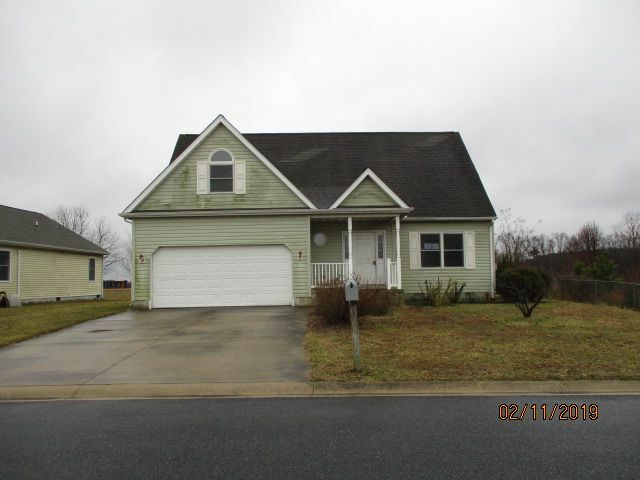 3 bedrooms and 1 full bath on main floor. Basement laundry. Home was built prior to 1978 and lead based paint potentially exists. Property sold in as is condition. No utilities. 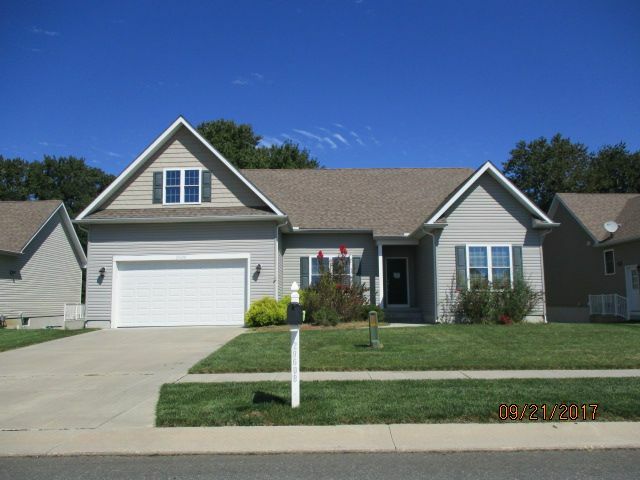 2 story home located in the lovely neighborhood of Fairview. 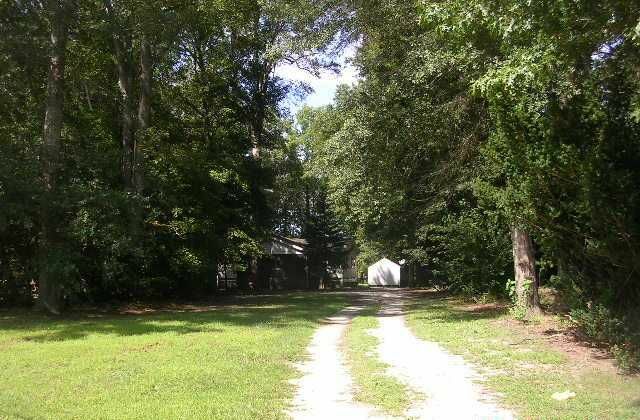 Mature tree lined streets and close to everything! First floor includes the step down family room, formal dining and living rooms, kitchen with casual eating area, laundry room and half bath. Upstairs offers the master suite with it's own vanity and direct access to hall bath. 3 additional bedrooms. Property sold in AS IS condition. No utilities are on and none will be turned on. 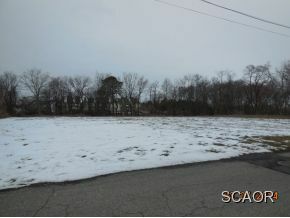 Beautiful cleared lot East of Rt. 1! Lovely setting for your custom home! No builder tie-in. If quiet and solitude are what you seek, then this lot is for you. Less than 10 minutes to Delaware Bay. Previously approved for standard gravity septic system. One of the owners is a licensed DE Realtor, and both owners are related to the Listing Agent and Broker. Priced to sell! 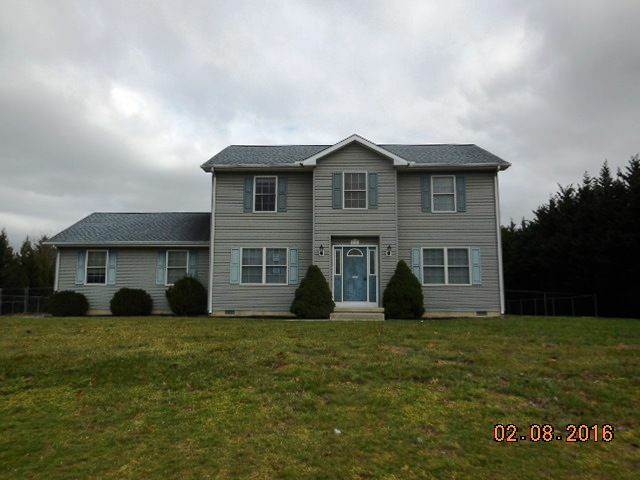 Two story farmhouse with acreage. Large porch, and several outbuildings including a horse stall. This one is a diamond in the rough! Home was built prior to 1978 and lead based paint potentially exists. Property sold in AS IS condition. No utilities. 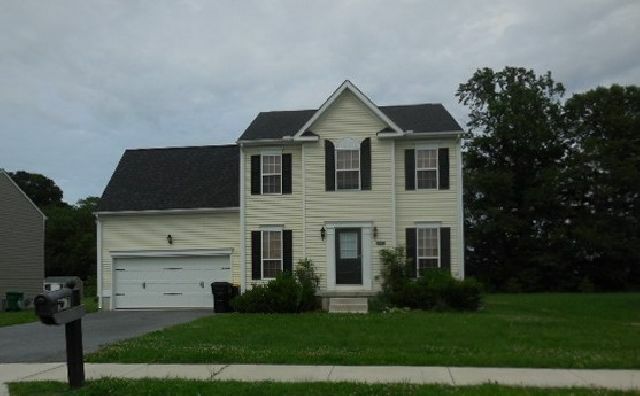 Colonial available in Royal Grant.! 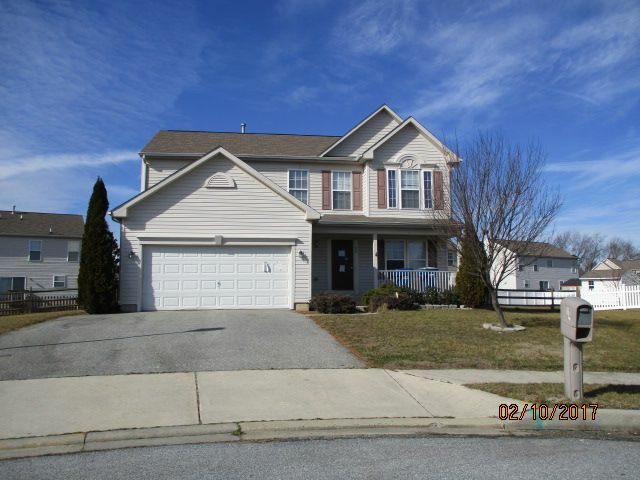 2 story home features a large living room with fireplace, spacious open kitchen and breakfast room, formal dining room, 4 bedrooms, 2 1/2 baths and a full basement. Functionality of heat/other systems unknown and inspections may not be able to be completed. Property sold in AS IS condition. 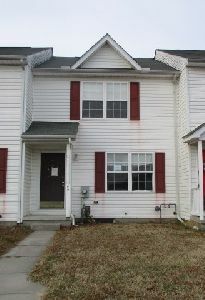 Roomy 2 story town home located close to everything! 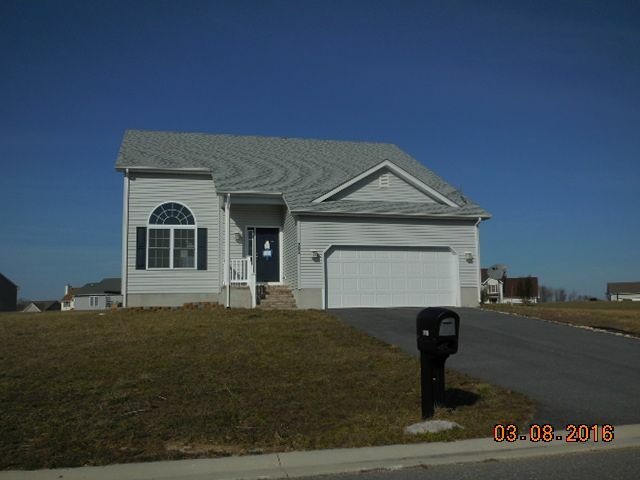 Mere minutes to shopping, restaurants, Dover Air Force Base and all points north and south. 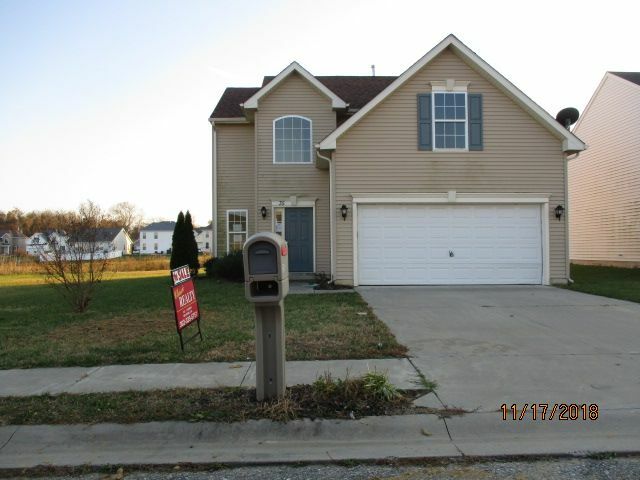 3 bedrooms, 1 and a half baths, rear deck and a full basement offered at a great price! Property sold in AS IS condition. Spacious home in the development of Chimney Hill, conveniently located close to major highway for easy commute! First floor tour includes open yet separate dining and living rooms, family room, kitchen and half bath. Master suite on second floor, 3 additional nice sized bedrooms and the laundry room complete the second floor. Stone patio in rear. Property sold in as is condition. 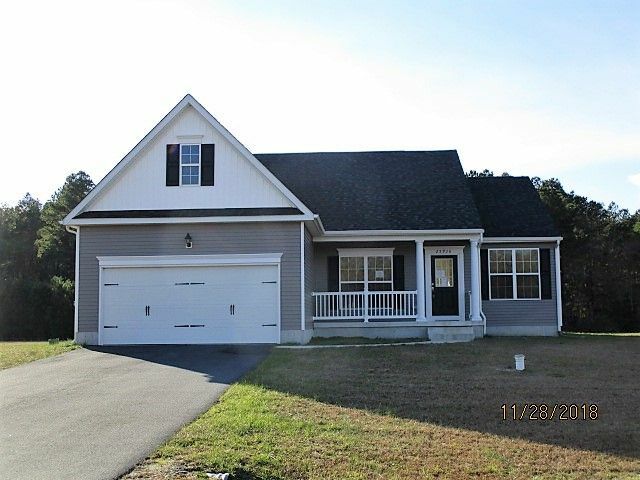 Beautiful custom designed cape cod w/Carolina style swept front porch in the region´s only fly-in community. 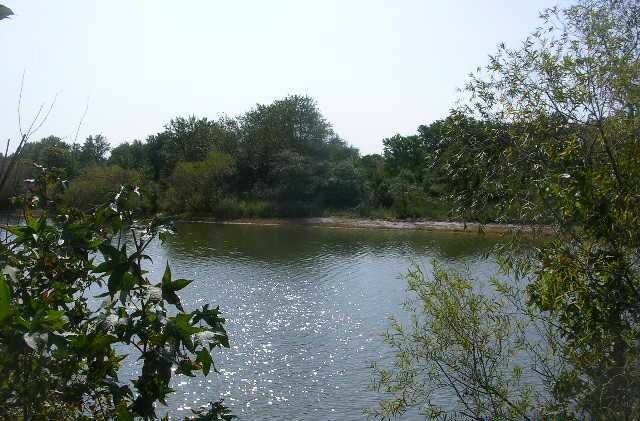 Mere minutes to area beaches, outlets, golf courses, and marinas. Features your own private airplane hangar, bright and cheery four season garden room, irrigation. Beautiful large, open and airy home! Columns greet you at both the dining room and formal living room. Gorgeous kitchen with granite countertops, angled peninsula with granite overhang and sink that is open to cheery and bright breakfast room, the family room with fireplace and loads of windows. Entire first floor boasts high ceilings and light hardwood floors. The lovely master suite has a sitting area with fireplace, walk in closet, separate closet, half tiled walls in master bath, a large soaking tub and separate shower. 2 more nice bedrooms complete your second floor tour. The finished basement has a 4th bedroom with closet, full bathroom and large open areas for media/game/family space. Property sold in as is condition. 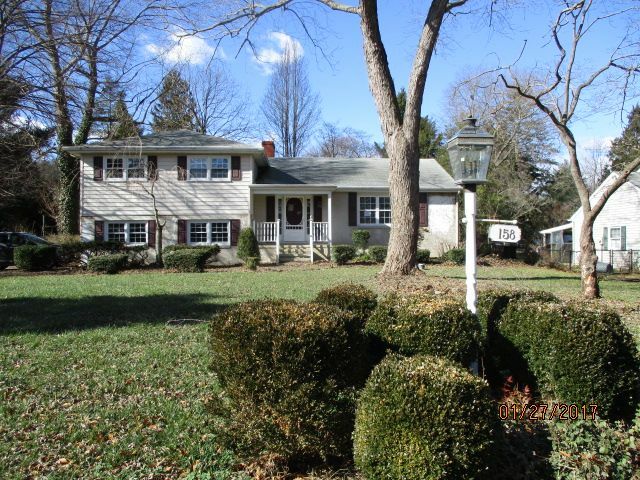 Nicely maintained home in the Village of Westover. 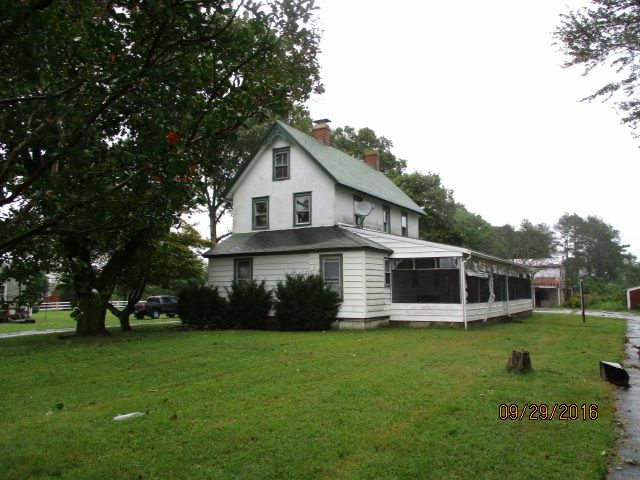 First floor is spacious and cheery with a living room, formal dining room, breakfast eating area next to the kitchen that has a peninsula with overhang, and a half bath. 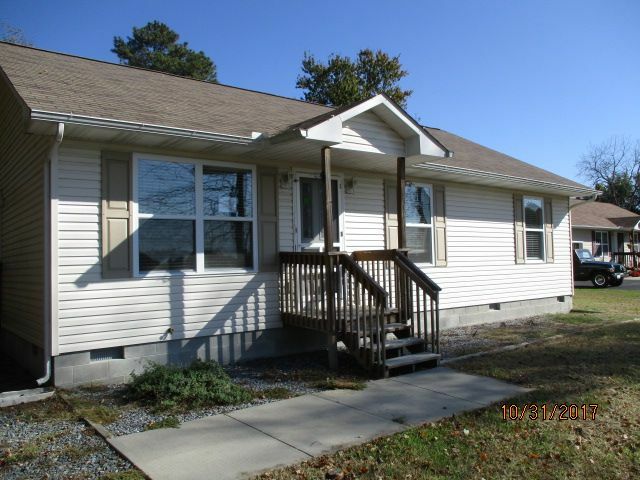 Upstairs has 3 nice sized bedrooms with the master offering a three quarter bath. Property sold in as is condition. 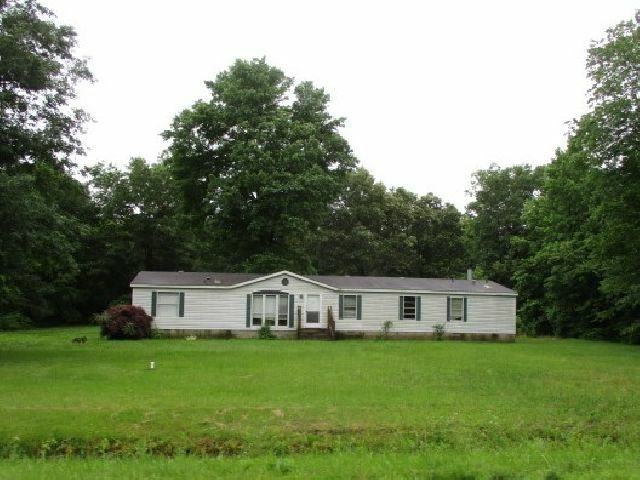 Charming and sweet rancher in a serene setting! Open living room with vaulted ceiling, dining area with a slider to deck, and a modern kitchen with granite countertops and tile backsplash. The master suite is your oasis with a large walk in closet, and tiled shower. 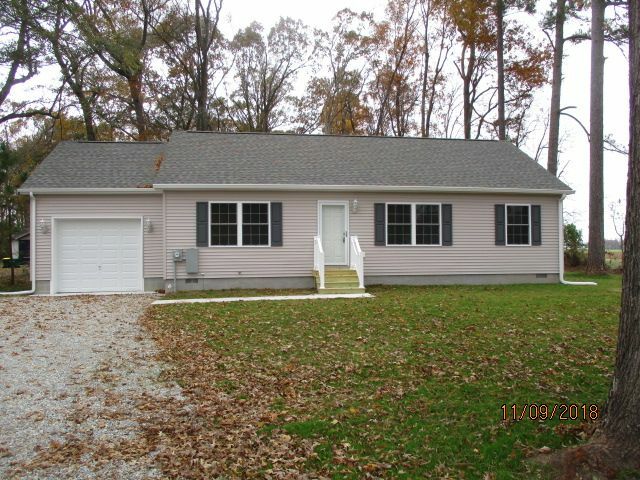 Split floor plan offers the other 2 bedrooms on the opposite end of the home allowing for privacy. Property sold in as is condition. 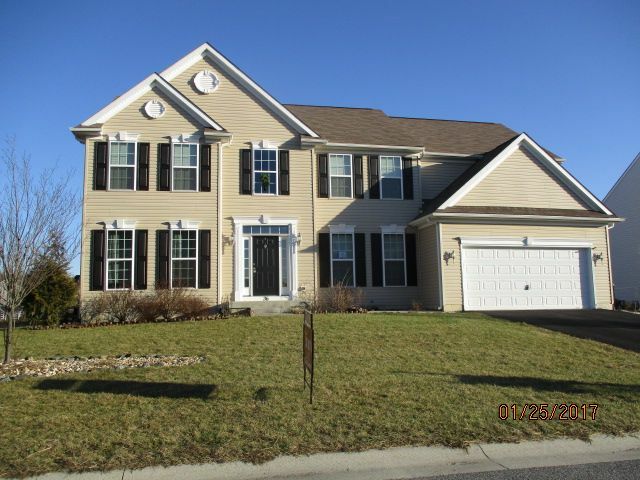 Appealing multi level home in the desirable neighborhood of Wyoming Mills. 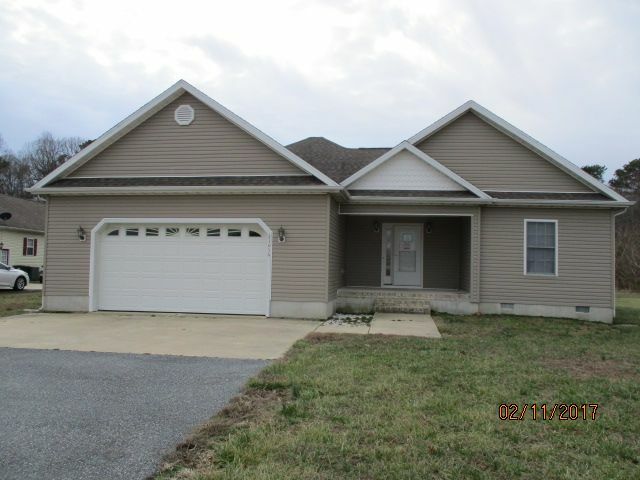 Spacious and open living room/dining area/kitchen has a great room feel and offers a slider to the back covered deck. Master bedroom has a private 3/4 bath. Lowest level is perfect for a family room with the gas fireplace. Large lot on a cul-de-sac. This home could be a jewel! Property sold in as is condition. Water pressure did not hold so water may not be available for inspections. Darling rancher in the town of Harrington. Driveway parking off of the alley. Separate dining room, spacious kitchen and bright and cheery living room await! 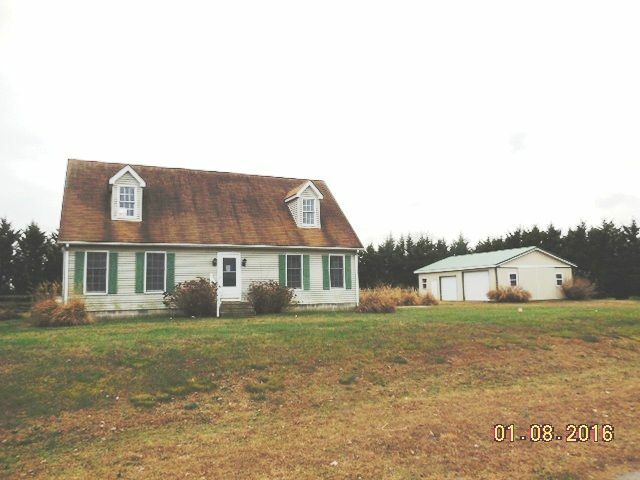 3 nice sized bedrooms, 2 full bathrooms and the rear deck for dining and entertaining make this a sweet home. VA Disclosure: The following flood zone information has been obtained for the property: Flood Zone Designation X. Property sold in as is condition. 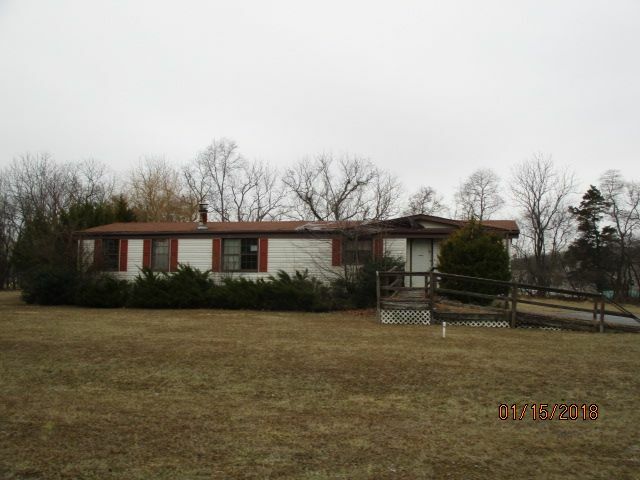 Cozy rancher on a country lot with a fenced rear yard. Formal dining room with slider, spacious kitchen and 3 bedrooms. Property was built prior to 1978 and lead based paint potentially exists. Property sold in as is condition. 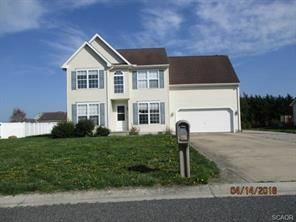 Spacious home in the nice neighborhood of Estates at Pickering Pointe. Open flow on the first floor includes a large open entry, dining room with wainscoting, living room open to wide and comfortable galley style kitchen with a pantry and breakfast room. The master suite with vaulted ceiling offers a walk in closet, double bowl vanity and rounded tub. The full unfinished basement is plumbed for a future bathroom. Property sold in as is condition. 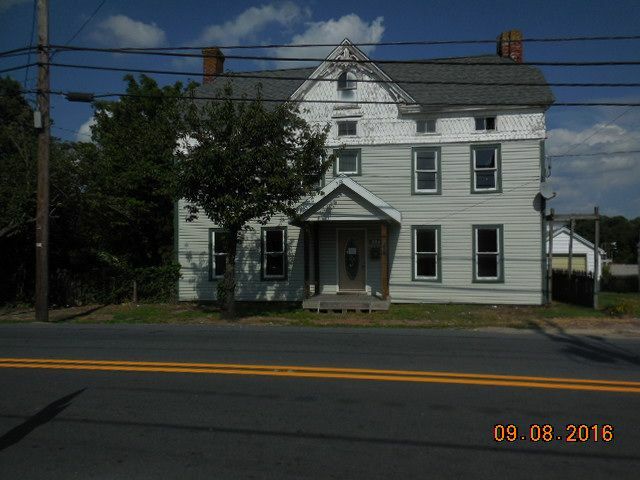 Historic home in downtown Bridgeville. 2 kitchens, lots of space. Walk up attic. Property built prior to 1978 and lead based paint potentially exists. Property sold in as is condition. No utilities will be turned on for any reason. Cash offers only. 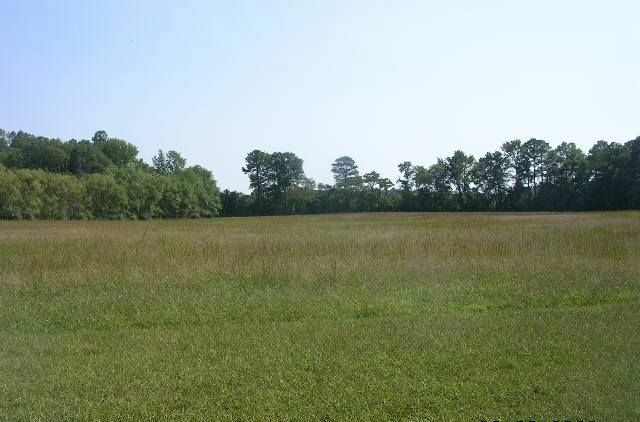 Approved 37 acres/46 lot subdivision located between Lincoln and Ellendale. Entrance in place. New construction on large country lot. The popular split floor plan offers a roomy master suite featuring a soaking tub with showerhead. Kitchen has a large pantry and an island with an overhang. 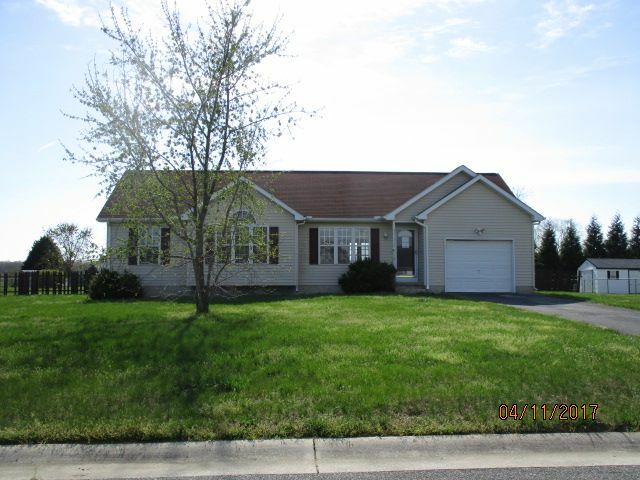 Spacious rooms, open front porch, slider in dining area, oversized 24 x 24 attached garage. Nice home in a well established neighborhood. Easy access to points north and south, and DE beaches! 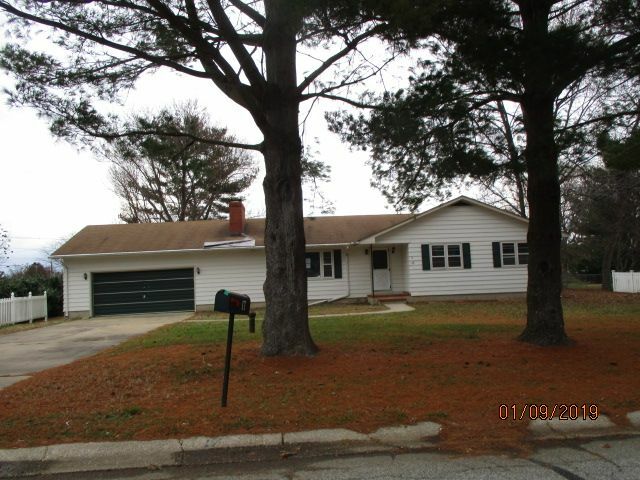 3 bedroom, 2 bath home is clean and sweet! Master suite with walk in closet. 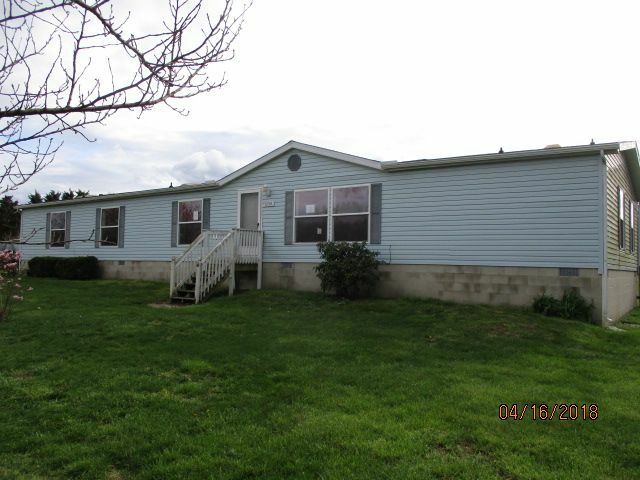 Peninsula in kitchen and slider to deck and large fenced yard in rear. Don´t miss this one, it won´t last long! Large home in a very desirable neighborhood. Formal living room and dining room. Family room with fireplace, breakfast area w/slider to deck. 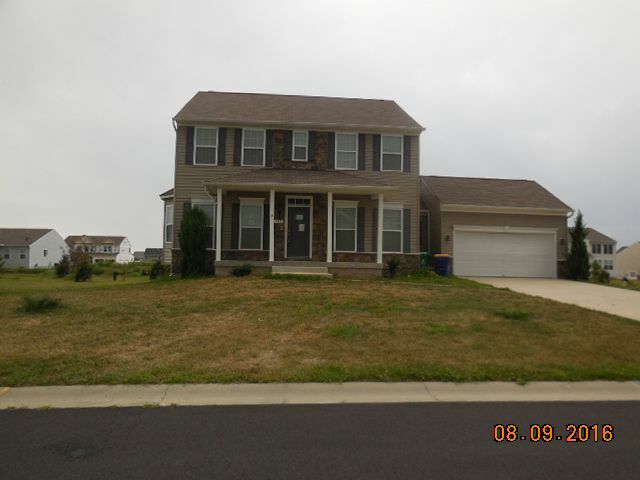 Master suite has double door entry and 2 walk in closets, and double door entry to master bath. Other bedrooms have walk in closets. Full unfinished basement. What a great price to get into a great neighborhood! This home has so much potential and can be the home of your dreams! Walk a bay windows in living room and dining room, beautiful granite counter tops in kitchen overlooking the family room with fireplace. Stainless steel appliances in kitchen. Large master bedroom with massive walk in closet, soaring vaulted ceiling and private bath. Full basement with third bathroom. 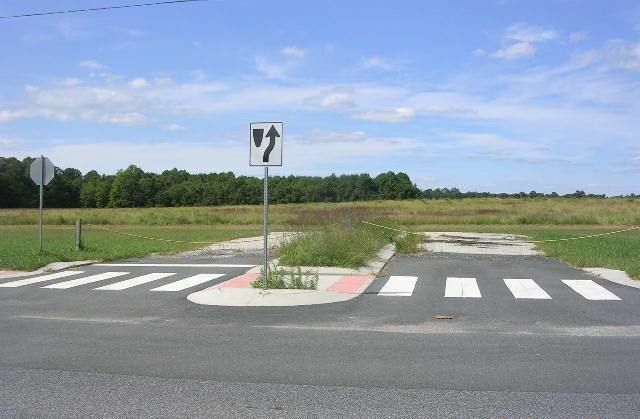 Great corner lot. Property sold in as is condition. 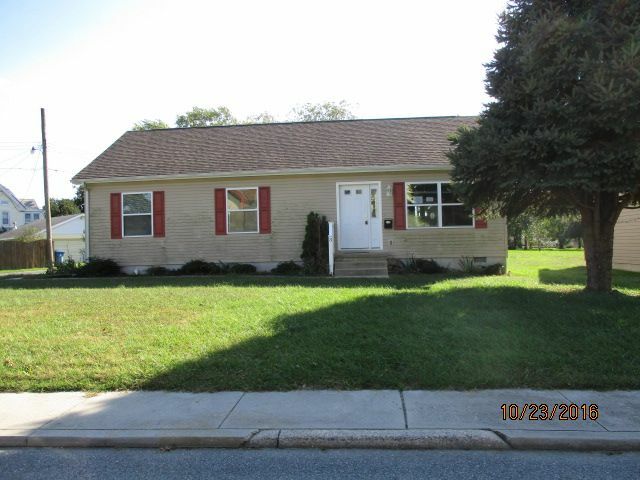 Adorable 3 bedroom, 2 bath rancher on an in town corner lot! Ceramic tile in kitchen, slider in dining room to deck. 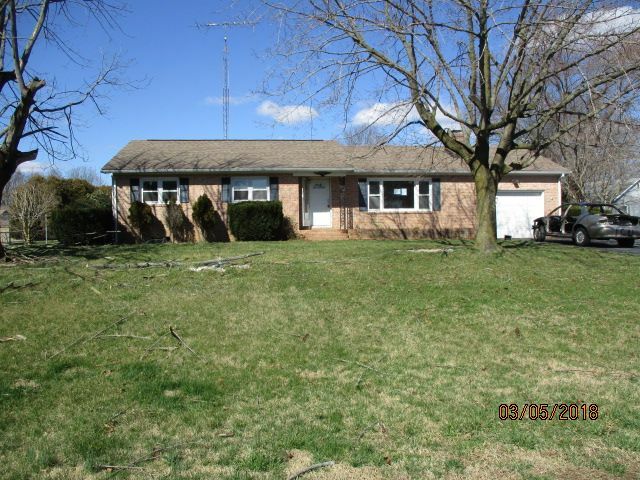 Repairs needed and property is being sold in as is condition. No utilities. Seller is Secretary of Agriculture. 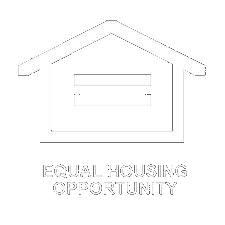 Seller to convey title via a quit claim/non warranty deed only. 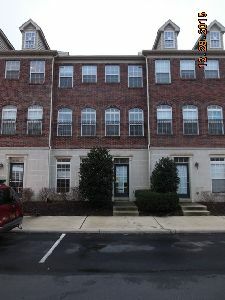 Modern and metropolitan townhome in the heart of The Village at Five Points. Columns frame the large living room as you enter, with a sweet kitchen and eating area with slider in the back. On the second floor there is a laundry area for your convenience, and 2 bedrooms share a jack and jill bathroom. You will also find room by the front windows of the second floor for a quiet reading nook or sitting area. As you approach the master suite on the third floor, you will be charmed by the double doors with window panels that lead you to your private oasis! Spacious L shaped bedroom with a large walk in closet and master bath. Lots of restaurants, shopping, banking and services offered within this community. 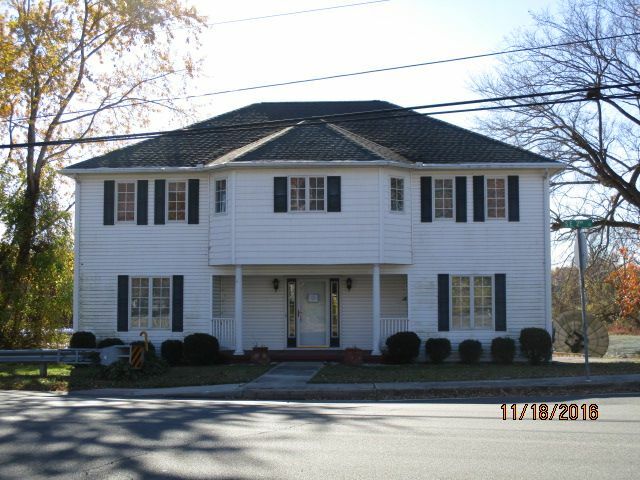 Minutes to downtown Historic Lewes, Property sold in as-is condition, no warranties expressed or implied. 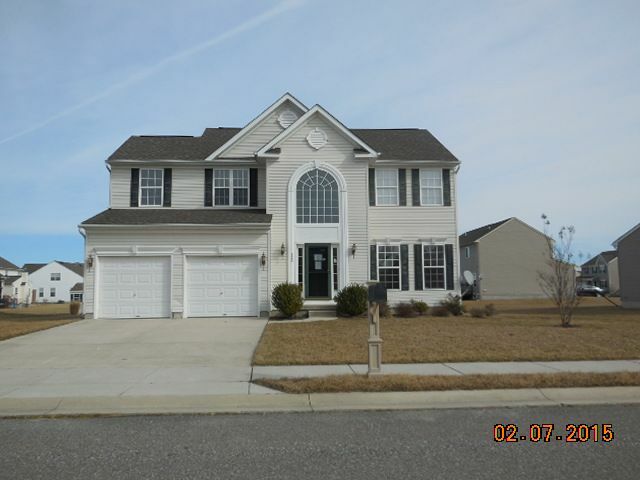 Beautiful home in the desirable neighborhood of Long Neck Shores. Community includes clubhouse and inground pool for leisurely living. As you enter, you will be wowed by the coved ceiling in the dining room then the great room with the kitchen, living and a morning room with soaring vaulted ceilings. Great room features gas fireplace and built-ins, kitchen has a pantry and island with overhang. First floor master suite means comfortable access and lots of privacy! The master suite includes a walk-in closet, soaking tub and separate shower. Second floor has 2 spacious bedrooms and another full bath. Large deck off of the morning room. Attached 2 car garage and central vac system. Buried propane tank is property of Poore's Propane and services the fireplace and range. Remaining gas had been paid for, however, buyer must negotiate with Poore's for payment for remaining gas as Poore's obligation may be to refund previous payer. Property sold as-is! 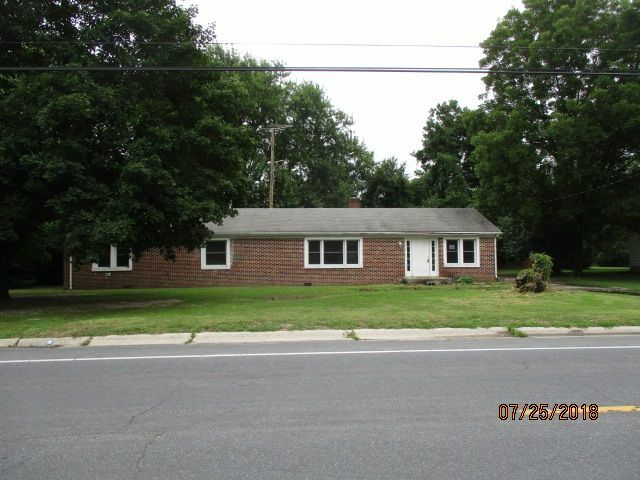 Fantastic square footage for a rancher on a large in-town lot! 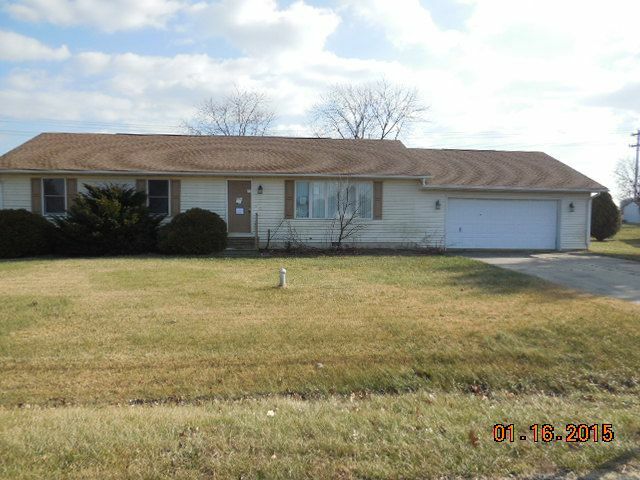 Main part of this home offers 3 bedrooms, 2 full baths and a family room beside the attached oversized 1 car garage. The living spaces off of the back include a massive game/family/media room with slider to the outdoor in-ground pool, and partially completed fourth bedroom and third full bath. Please use caution at pool area in back! Property sold in as is condition. No utilities. 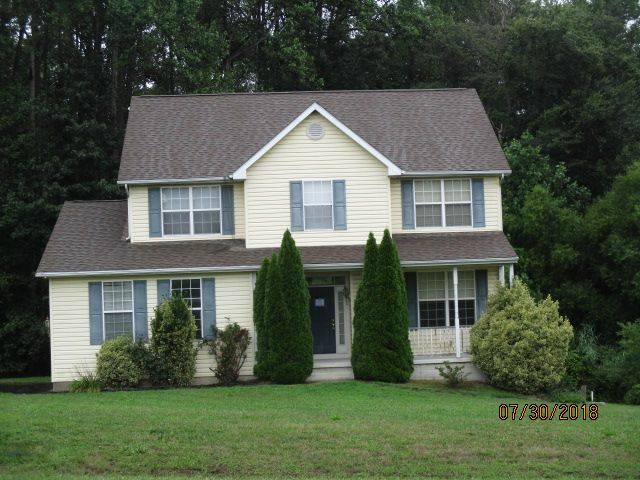 Lovely home in Satterfield. Conveniently located for easy commute. Tastefully painted inside, beautiful landscaping and entertainment space outside. Kitchen w/pantry and granite countertops overlooking breakfast room w/slider to rear screen porch. 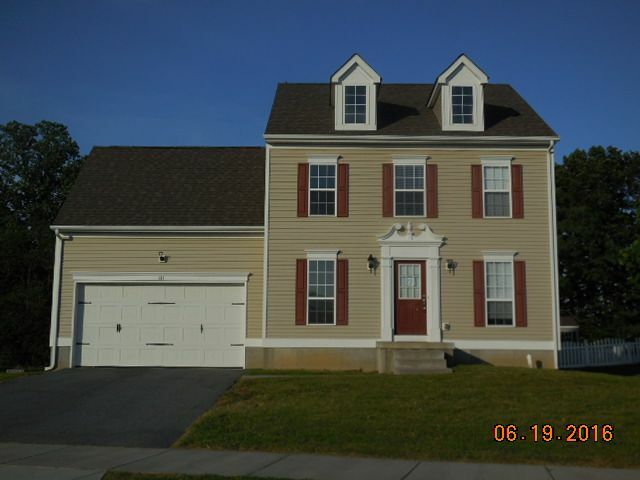 On second floor, double doors lead to master suite with coved ceiling, double walk in closets and master bath with jetted tub, separate shower and double bowl vanity. 3 additional spacious bedrooms with the third bedroom also having a walk in closet. Screen porch and large patio in rear. Decorative shed. Disclosure: widespread discoloration in basement. All parties must sign, and have notarized, the attached 'hold harmless' form before viewing. 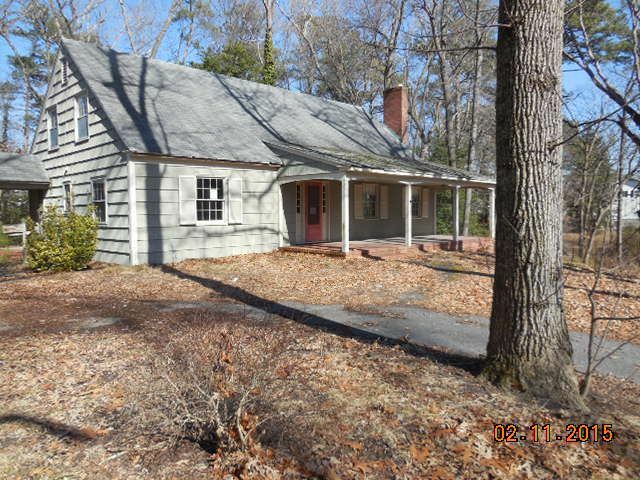 Nice cape cod on a country lot with perimeter cedar trees for a sense of privacy. The welcoming home has double doors leading to the large formal living room. Open kitchen with peninsula, dining and family room with gas fireplace. First floor master suite with full bathroom. 2 spacious bedrooms upstairs, one with a walk in closet. Large full bathroom on second floor. Deck in rear and back yard with split rail fencing. 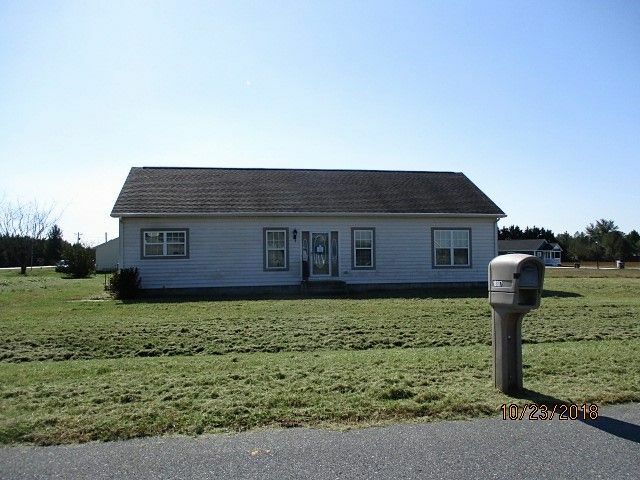 Fantastic 40' x 30' detached garage comes with a sliding door to park your larger toys! Property sold as is. 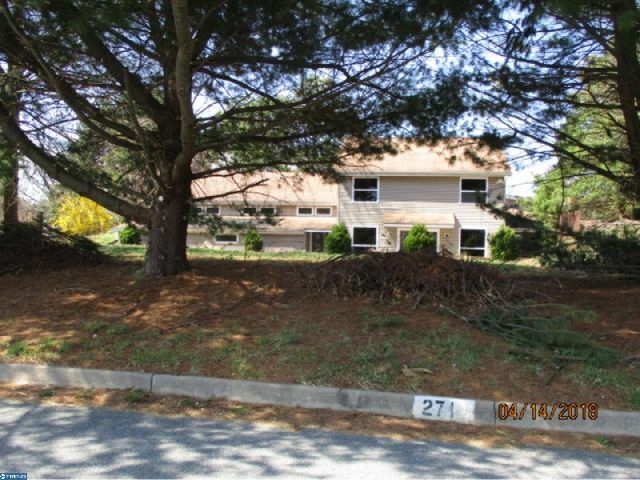 Generous square footage in a neighborhood with no HOA's! First floor offers formal dining, living and family rooms, with a sweet breakfast nook by kitchen for casual meals. Master suite has sitting area and large walk in closet. Bedroom 2 also offers a walk in closet. Seconf floor laundry room for your convenience. Massive rear fenced yard and deck in back. Attached 2 car garage. Property sold in as is condition. 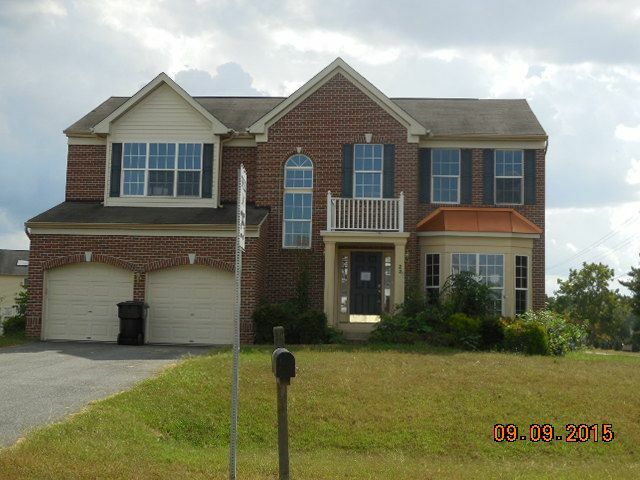 Lovely 2 story home in the beautiful development of Whitetail Run. Soaring vaulted ceiling and loads of natural light in living room. Dining area and adjoining kitchen offer a slider to the rear, and a peninsula with overhang for casual dining and entertaining. First floor also has a large bedroom with a walk in closet and half bath close by. On the second floor, double doors invite you into the oasis of your master suite featuring a jacuzzi tub, separate shower, double bowl vanity and spacious walk in closet. Second floor laundry for your convenience. The unfinished basement is plumbed for a future bathroom. Property sold in as is condition. Attractive home in an attractive neighborhood. 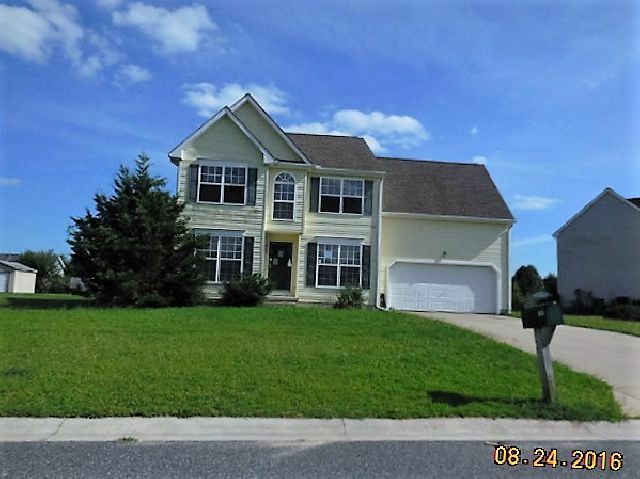 Nice open and easy flow on the first floor encompassing a dining room with wainscoting, wide and comfortable galley style kitchen with a pantry and a breakfast room, and the living area with multiple windows includes access to the back yard. The master suite with vaulted ceiling offers a walk in closet, a double bowl vanity and rounded tub. The full unfinished basement is plumbed for a future bathroom. Property sold in as is condition.